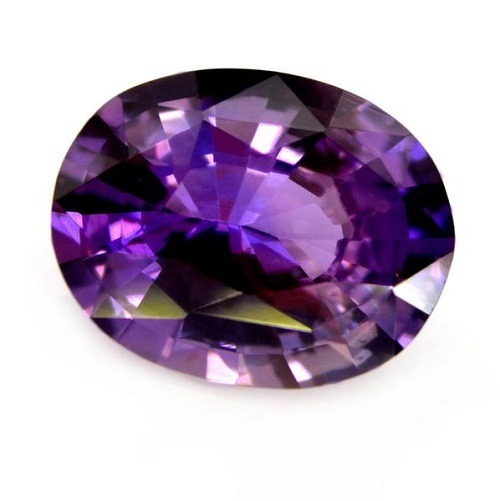 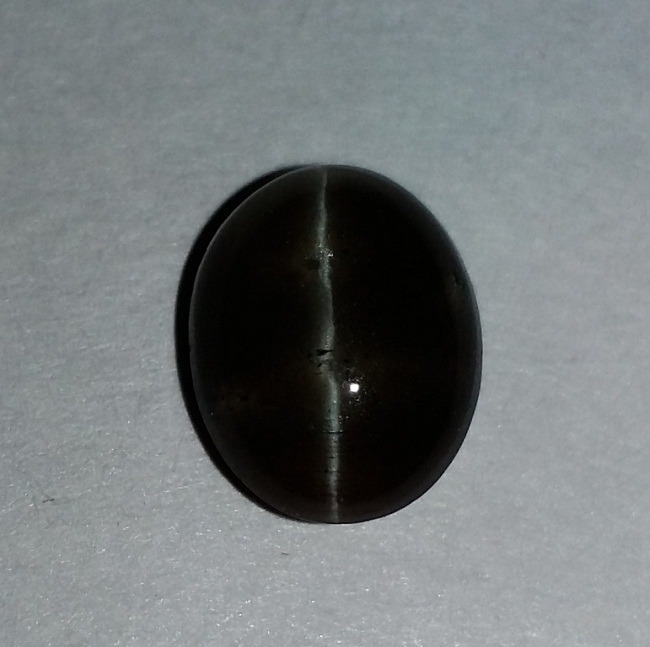 Star Sapphire Gemstone is a very rare variety of Sapphire, that exhibit asterism. 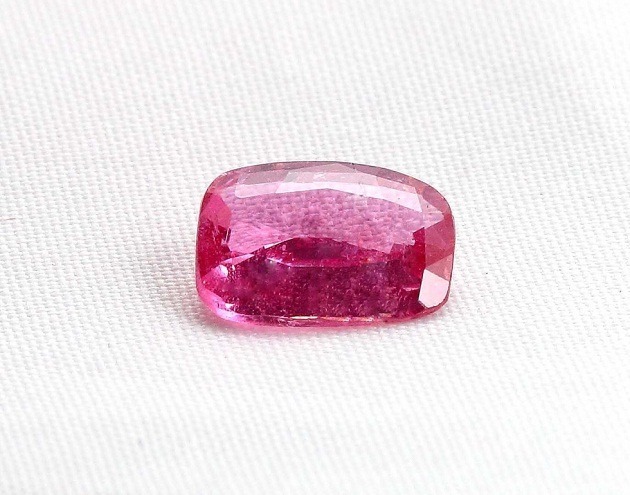 Star Sapphire belongs to the family corundum. 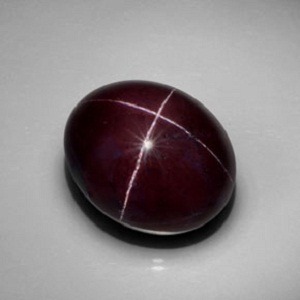 Star Sapphire corundum has a hardness of 9, which makes it a second hardest material on earth. 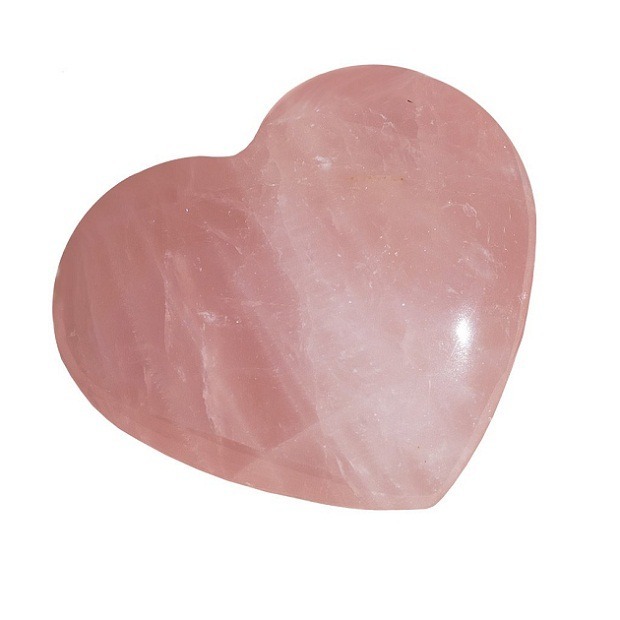 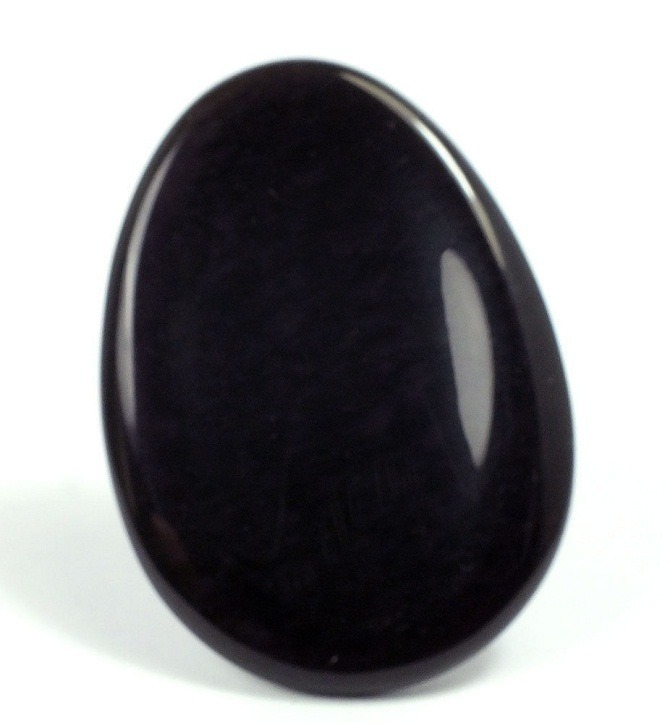 Star Sapphire stone brings you into its depths and clears intuition. 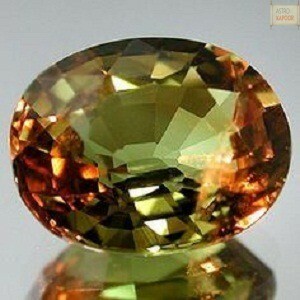 It brings about centering of your thoughts and aids in anticipating the intentions of other people. 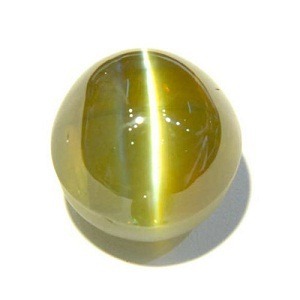 It is said to contact extramarital beings. 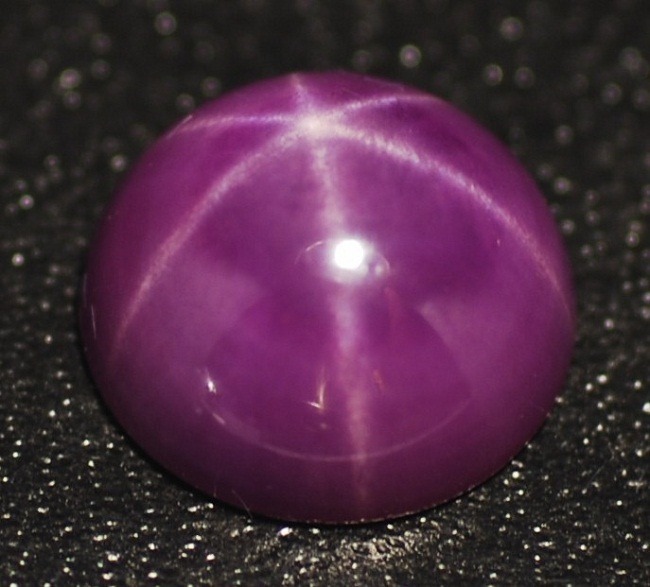 Star Sapphire gives immense benefits if worn in a pendant, earrings, rings and necklace as jewelry. 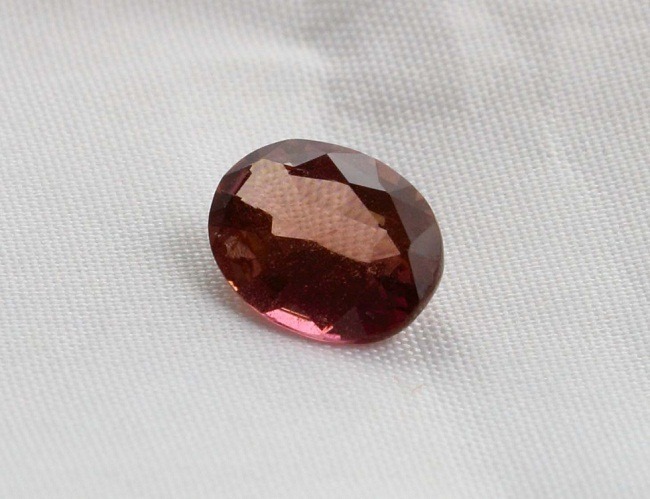 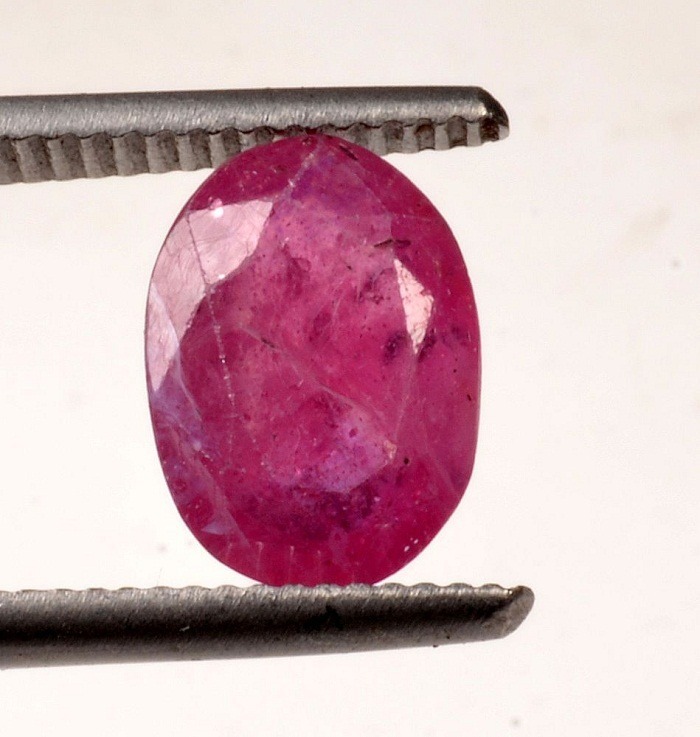 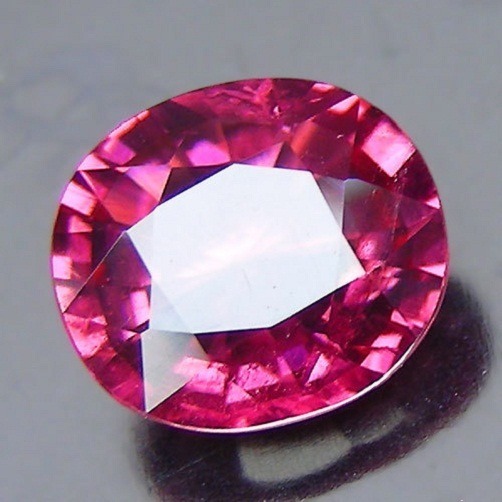 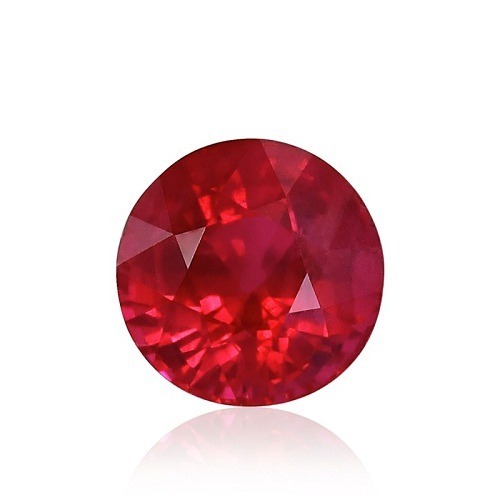 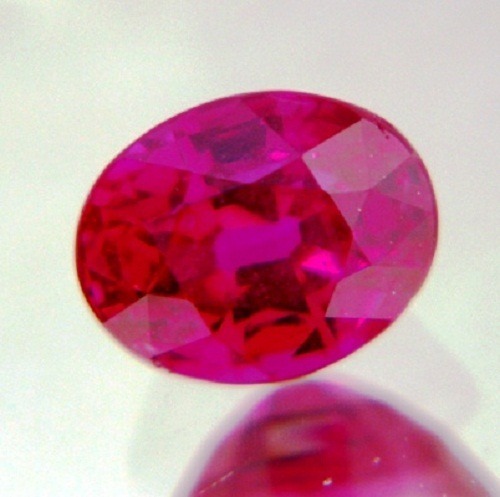 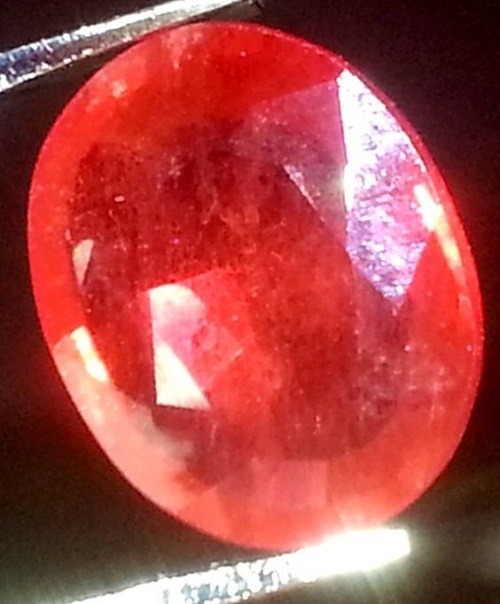 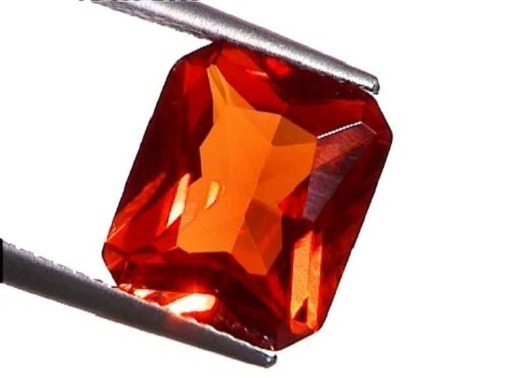 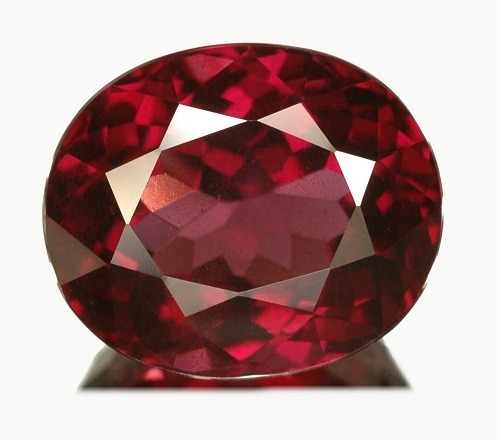 The name “corundum” comes from Sanskrit word “Kuruvindam”, which means Ruby Sapphire, while the term “sapphire” is derived from the Persian word “safir”. 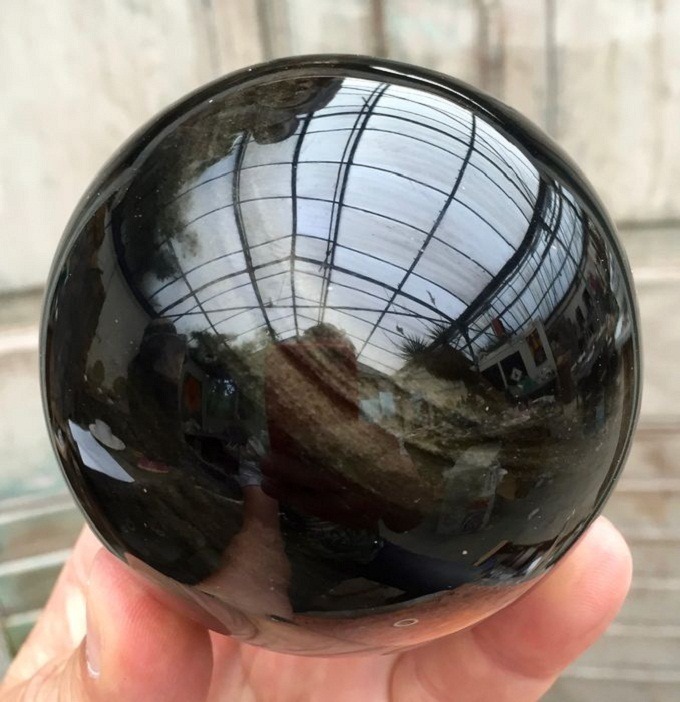 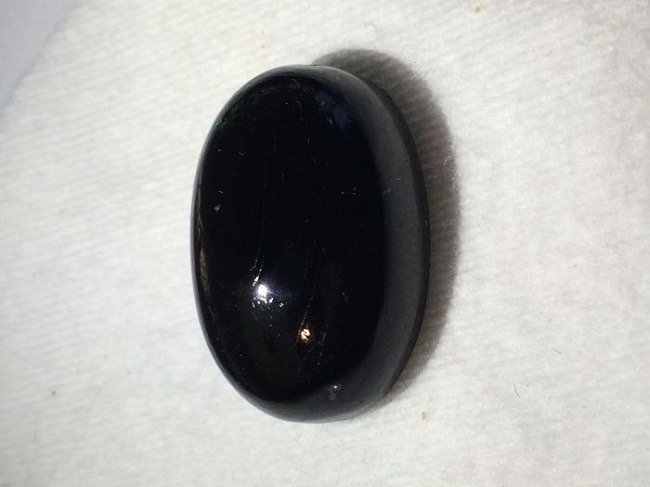 Star Sapphire can be a very dark blue, to seeming dense and blackish from a distance. 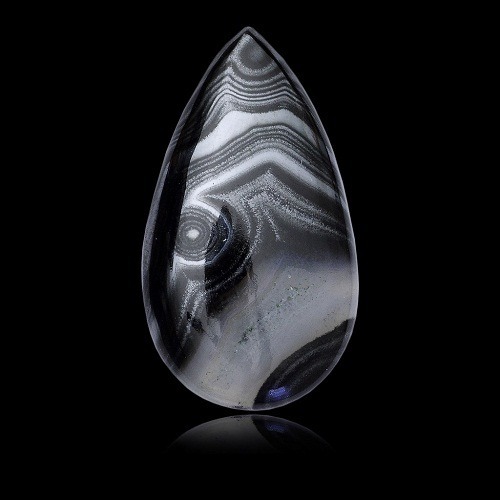 Some stone have clearly defined streaks of pale color, in contrast to a dark ground. 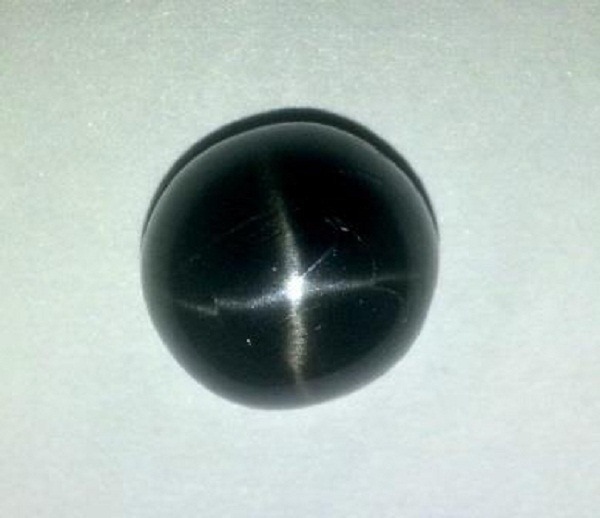 Star Sapphire has specific lightning, when observed in clear light. 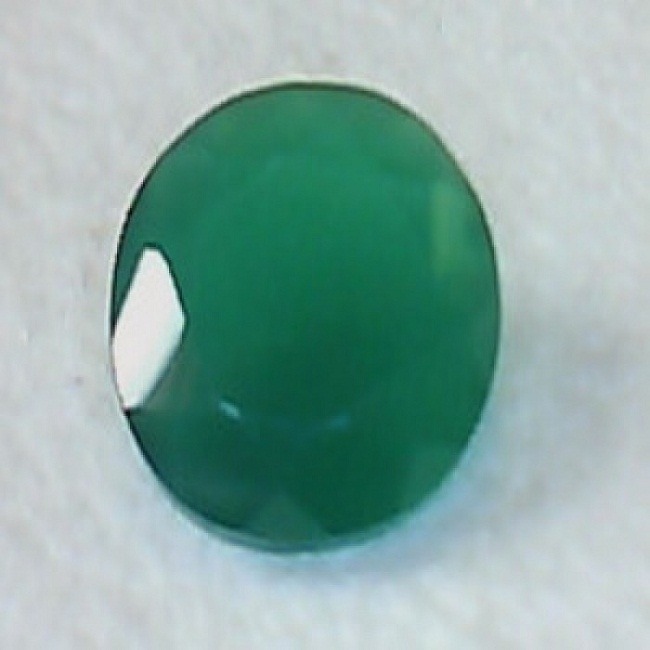 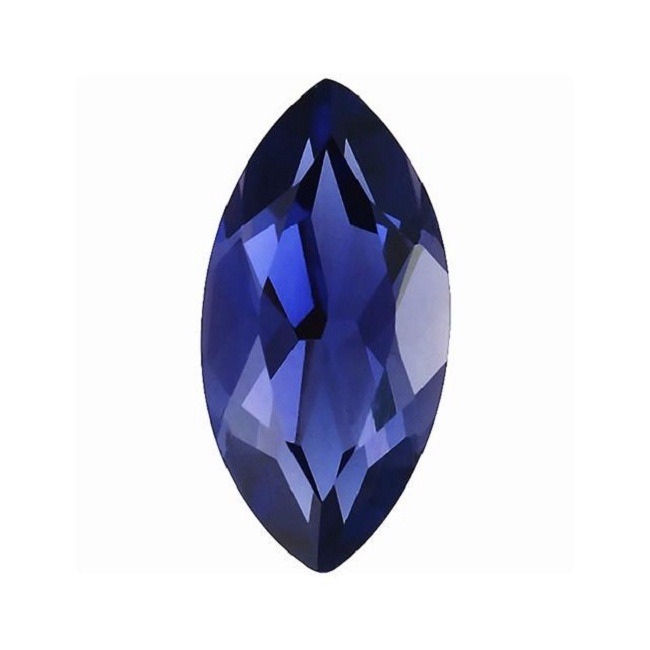 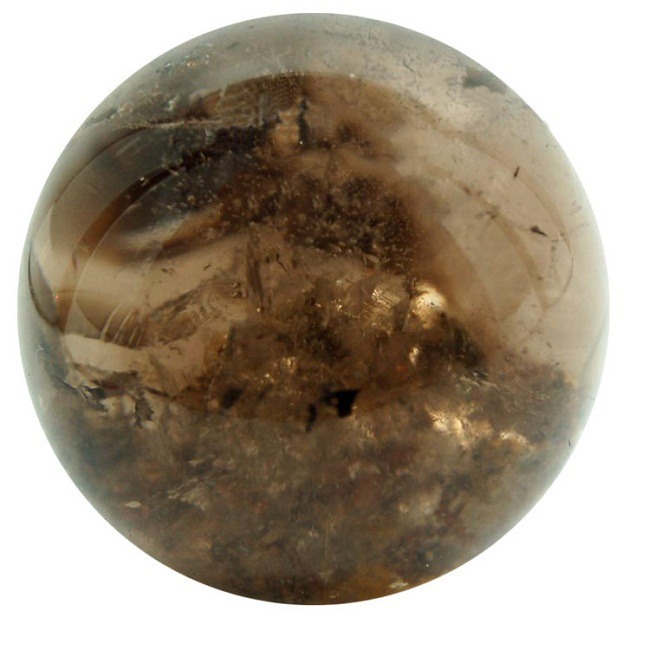 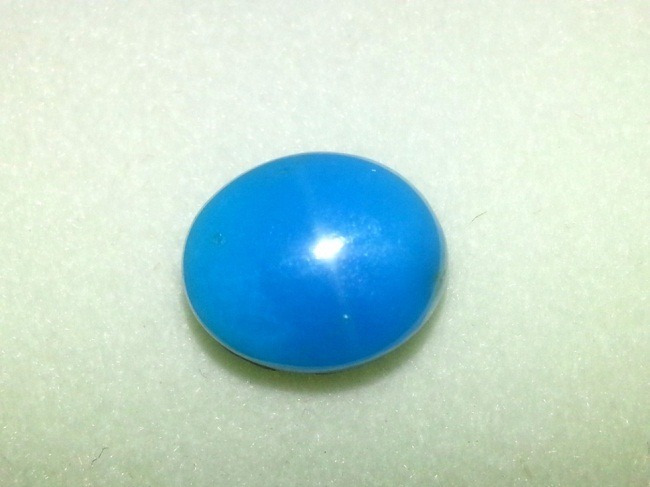 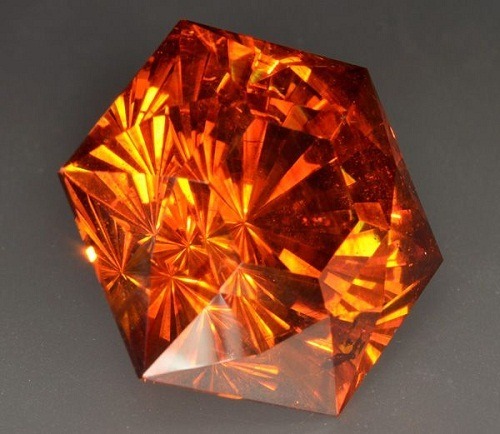 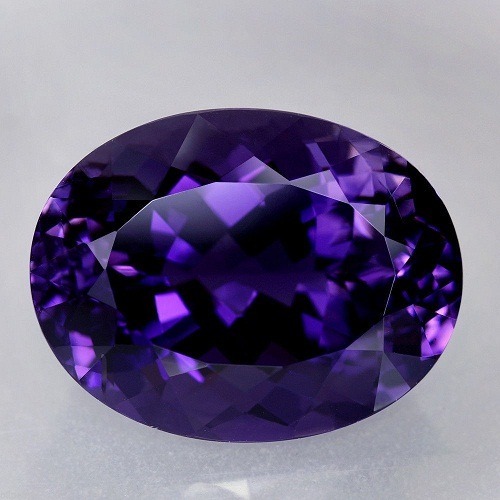 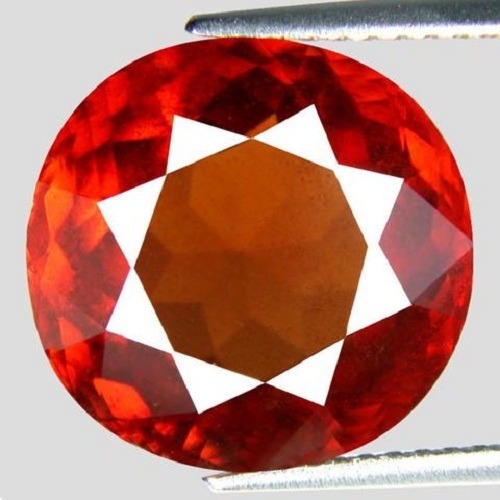 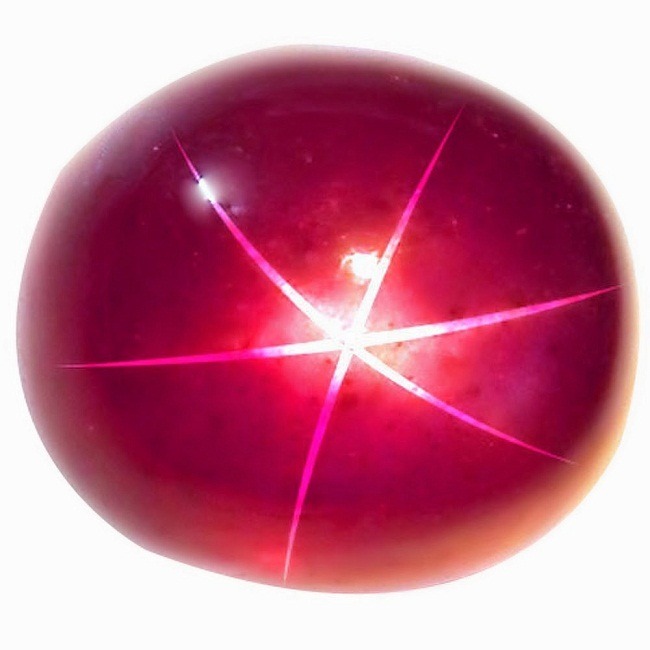 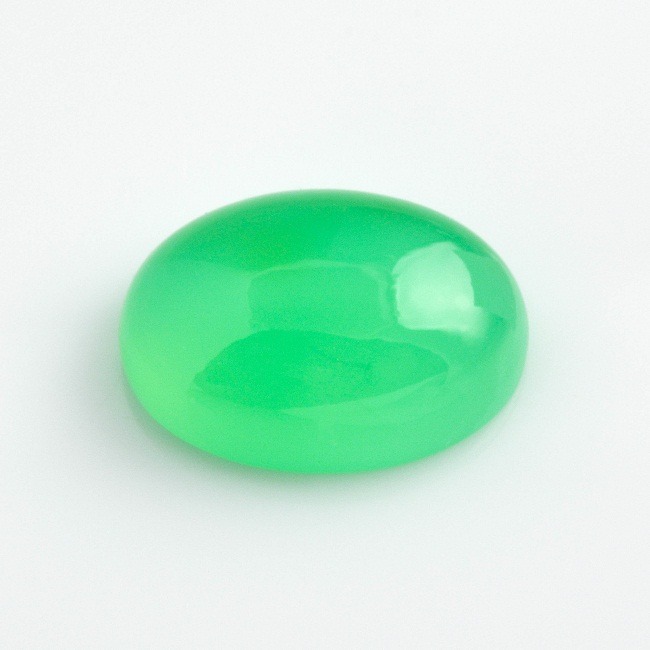 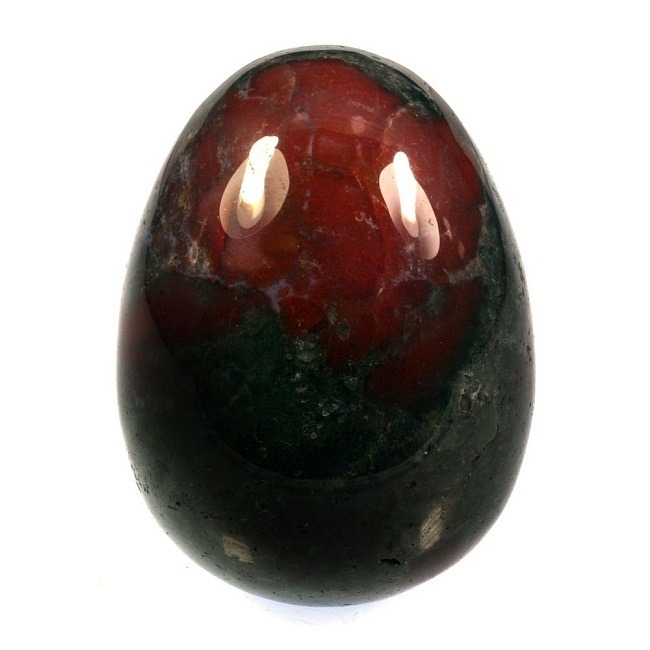 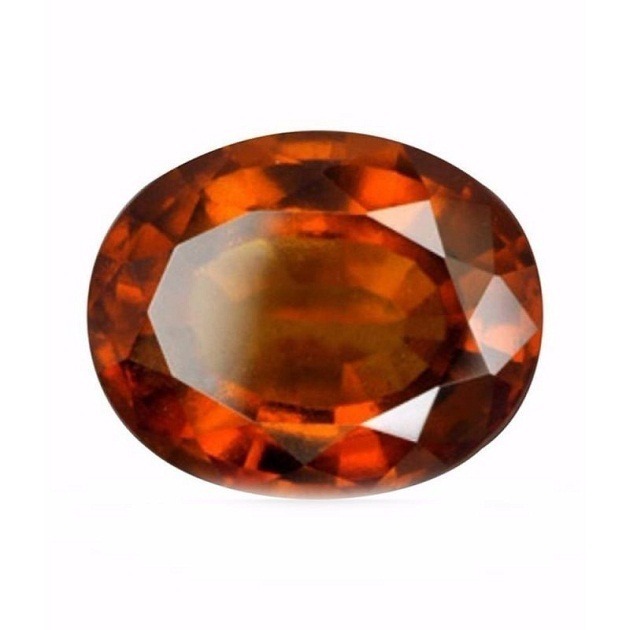 A six rayed star is observed in Star Sapphire Gemstone. 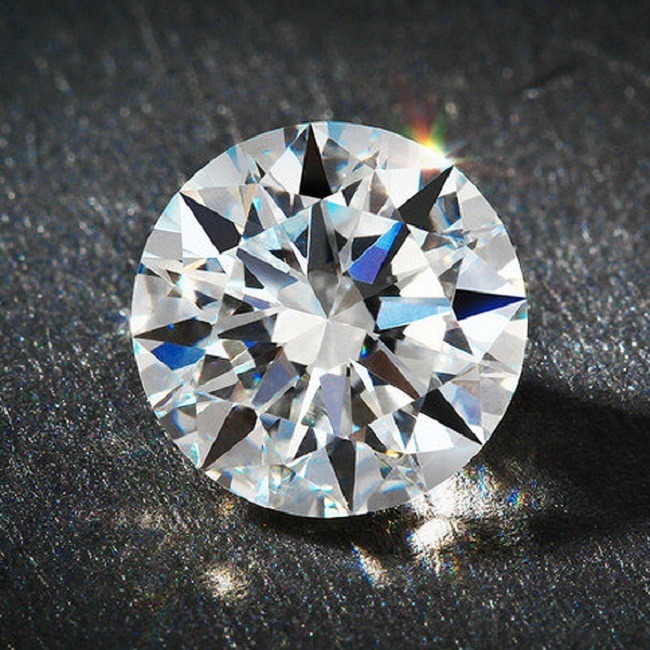 It is best viewed, under a direct source of light. 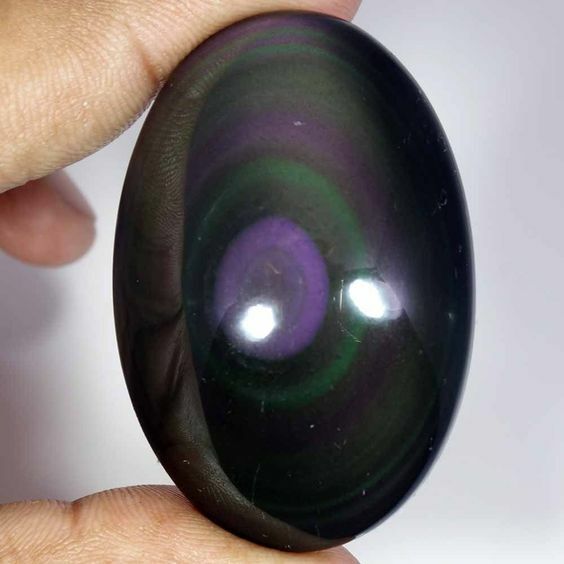 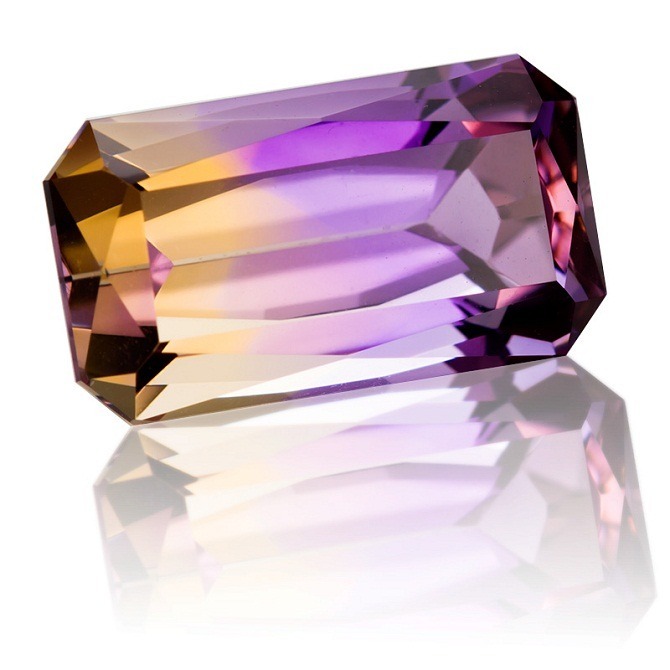 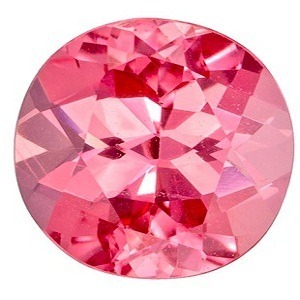 Star Sapphire Gemstones can range in color blue in various shades to red, pink, yellow, green, lavender, gray and black. 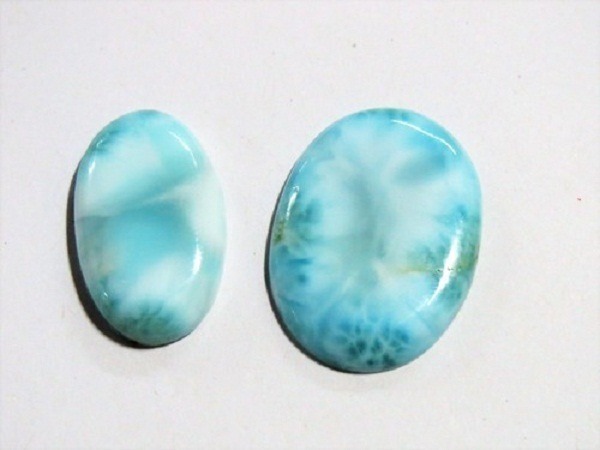 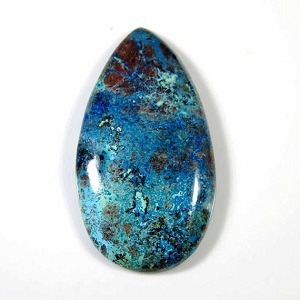 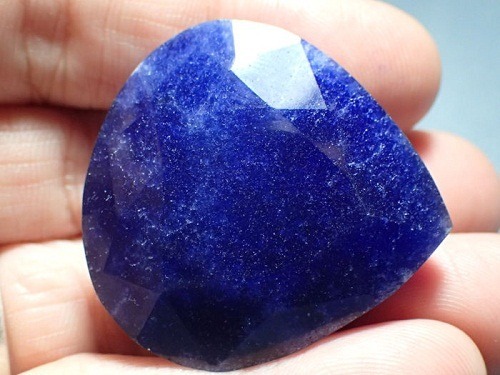 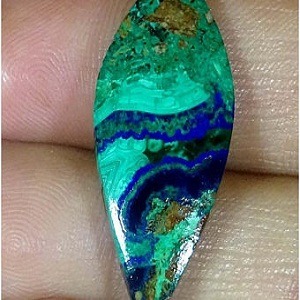 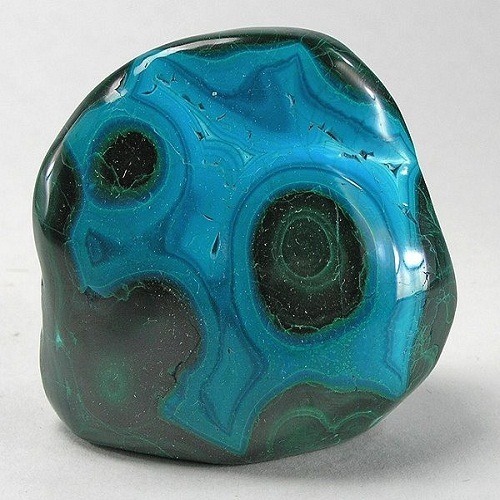 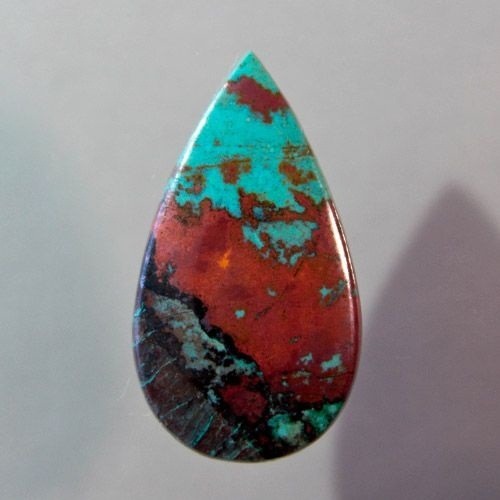 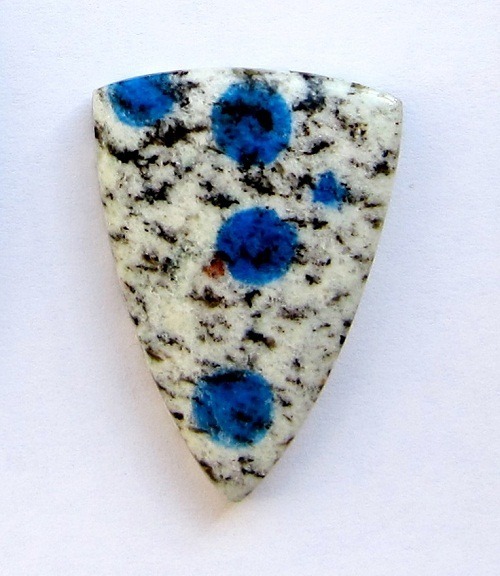 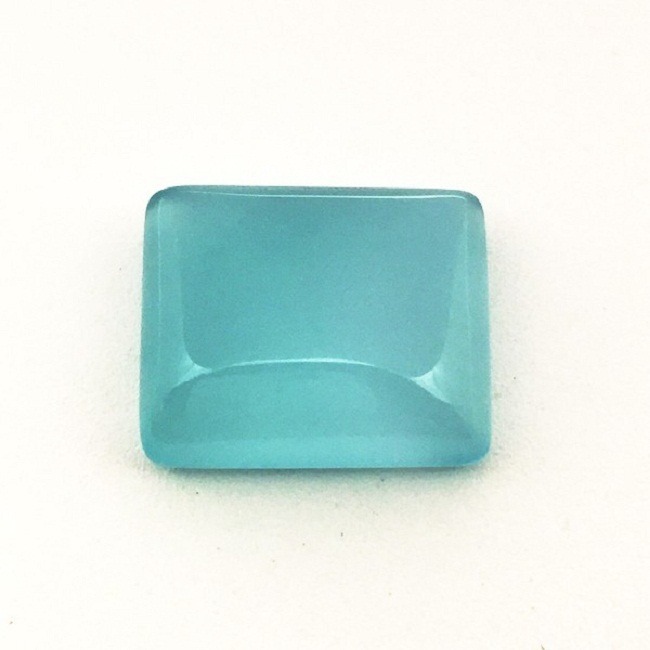 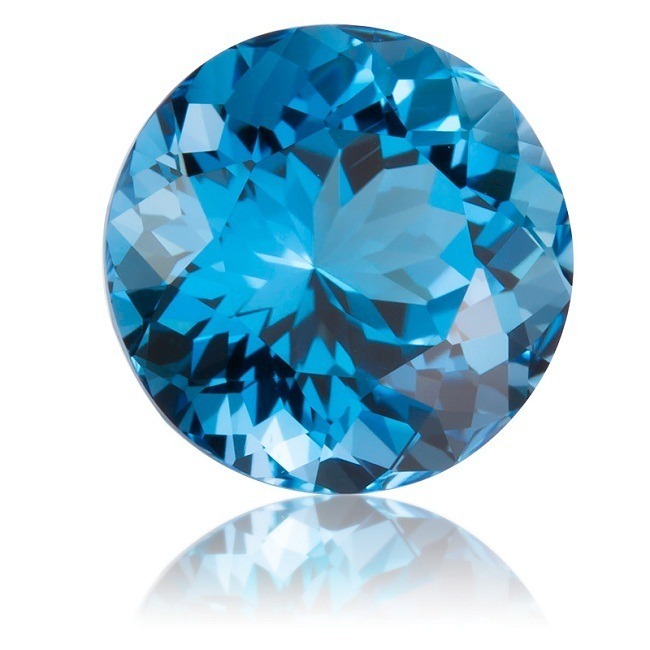 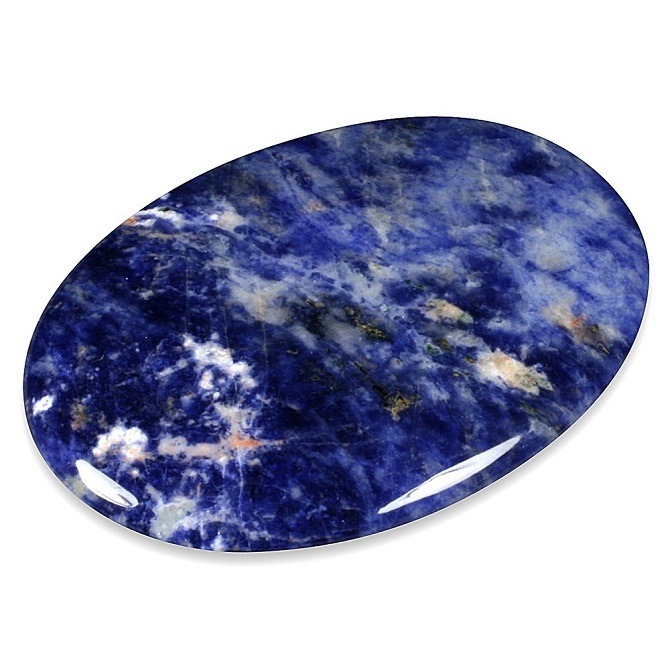 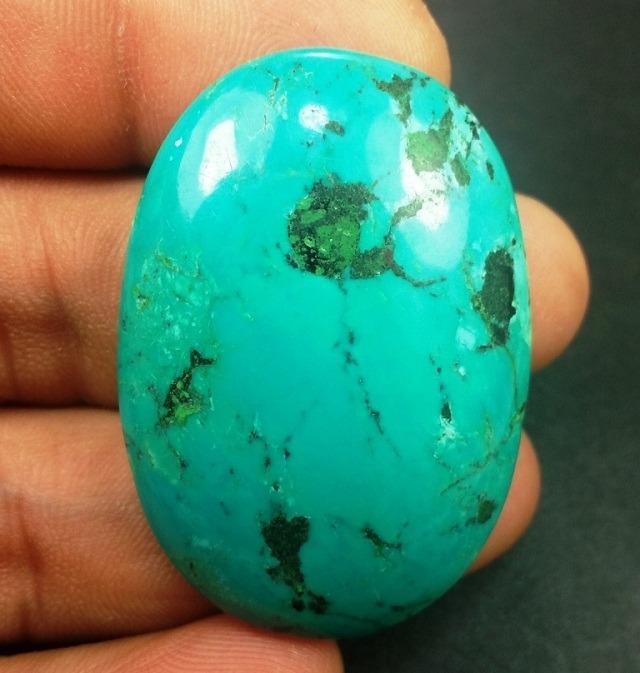 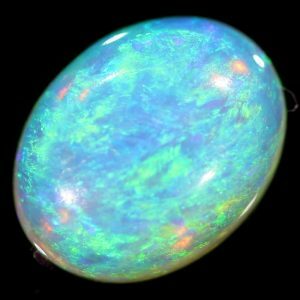 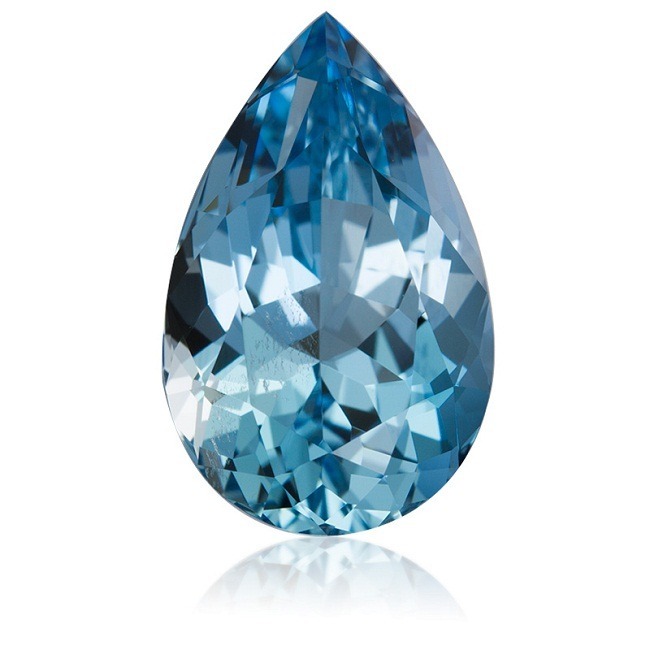 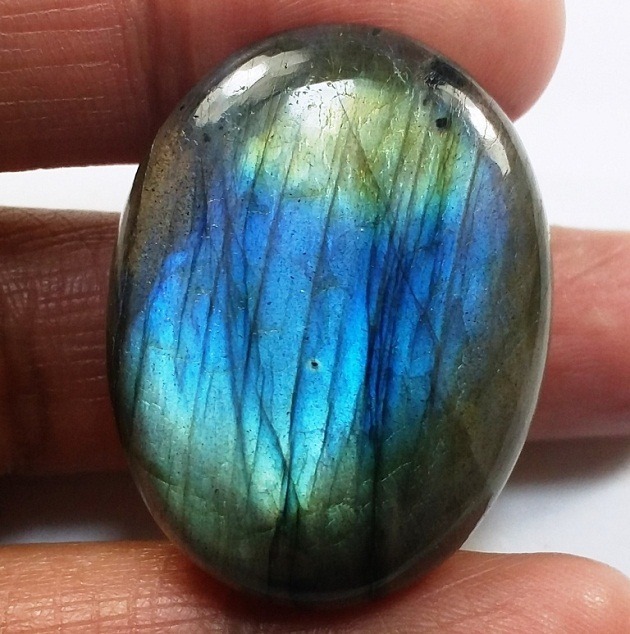 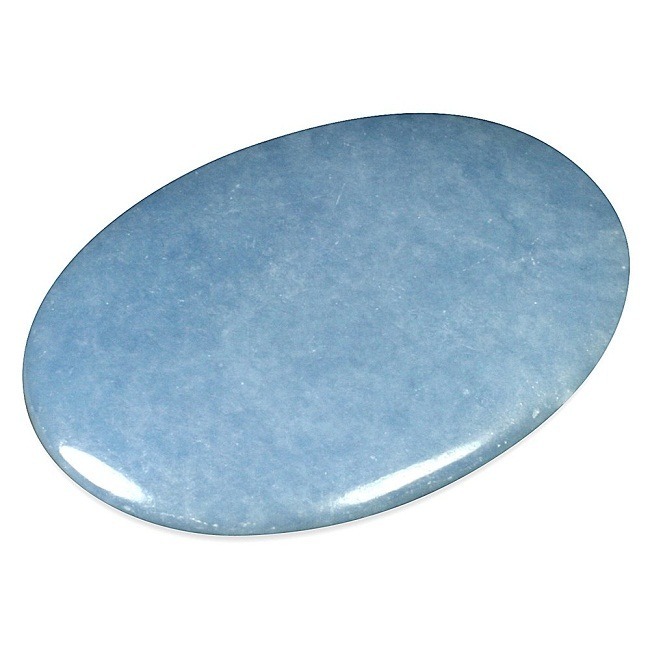 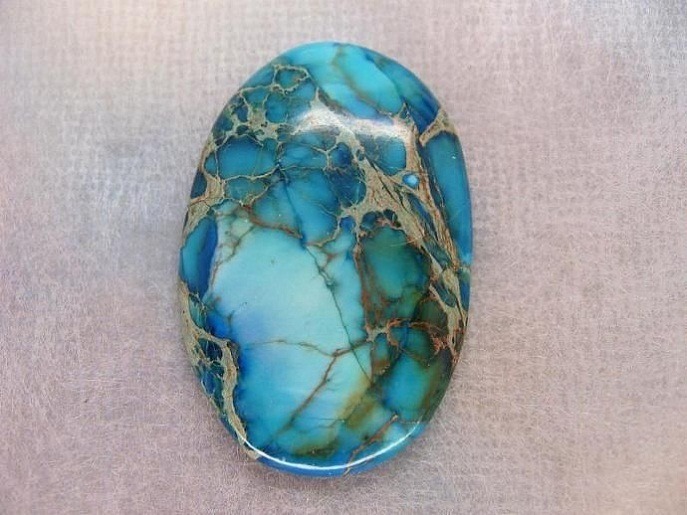 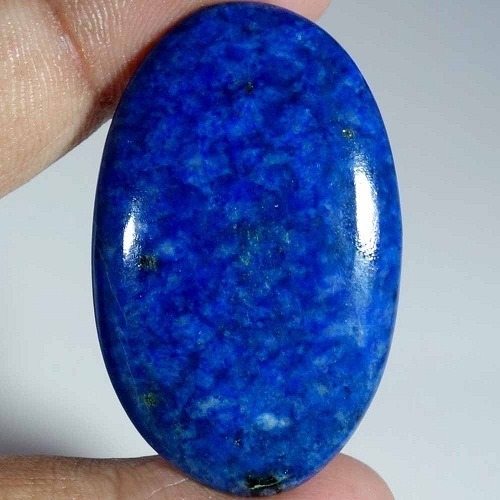 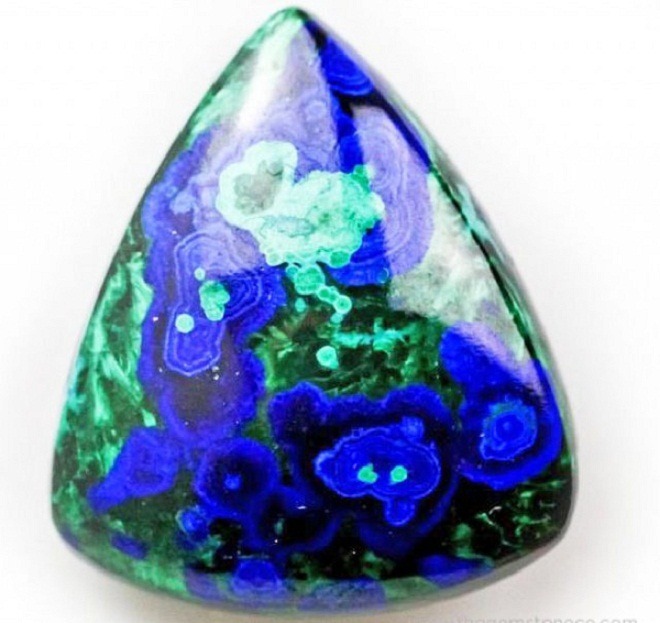 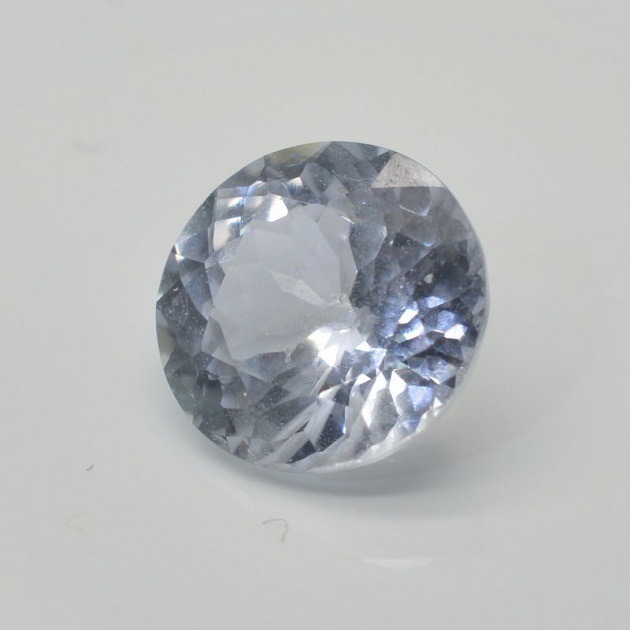 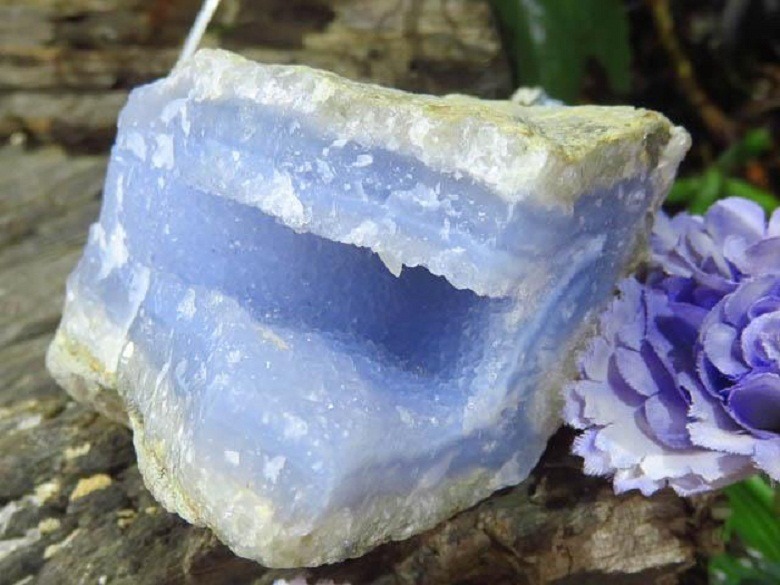 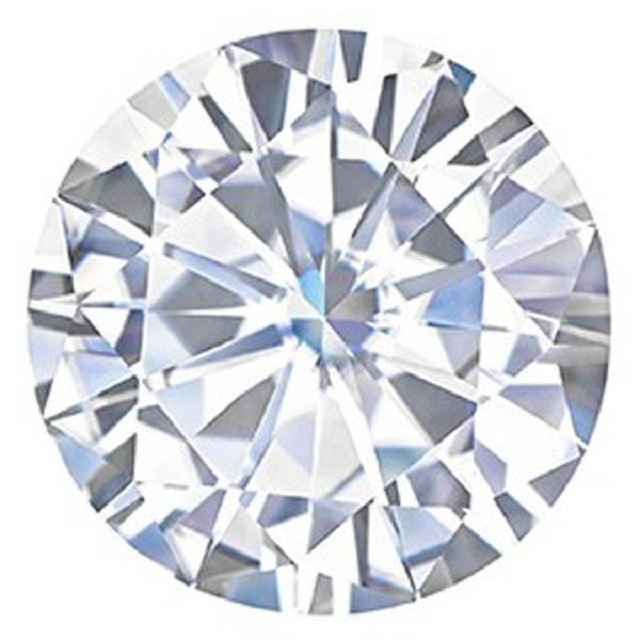 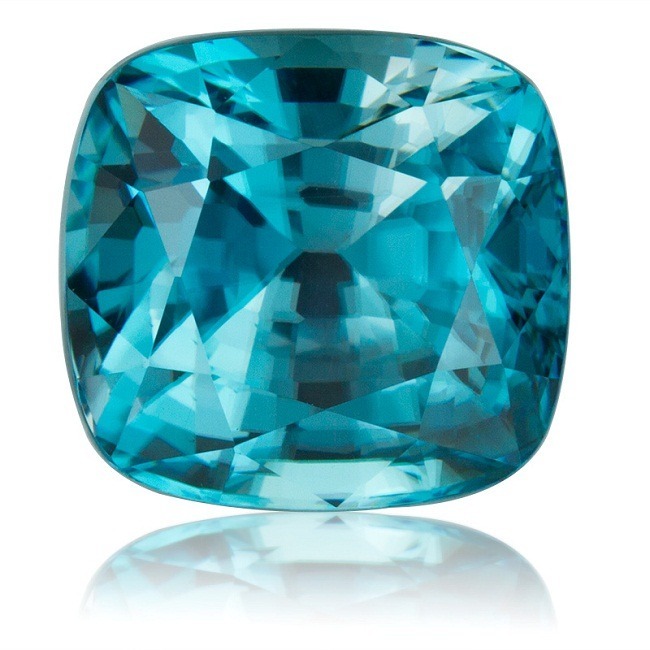 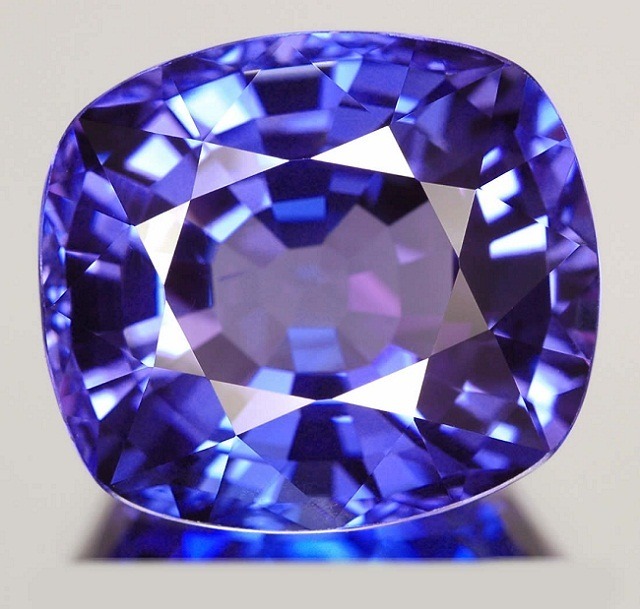 The most desirable color of this stone is intense blue. 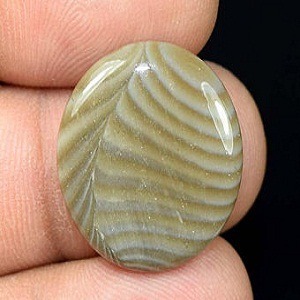 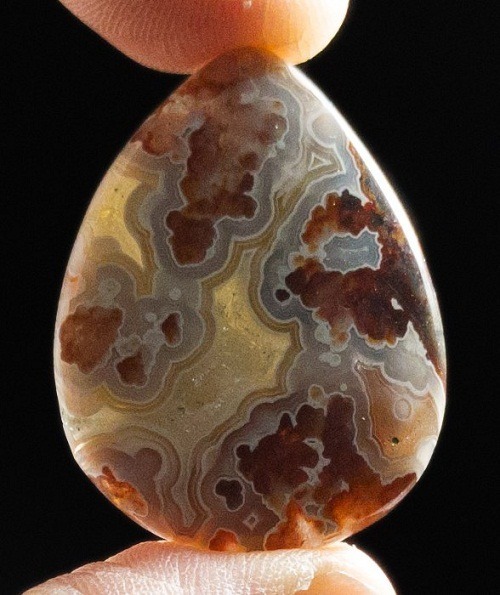 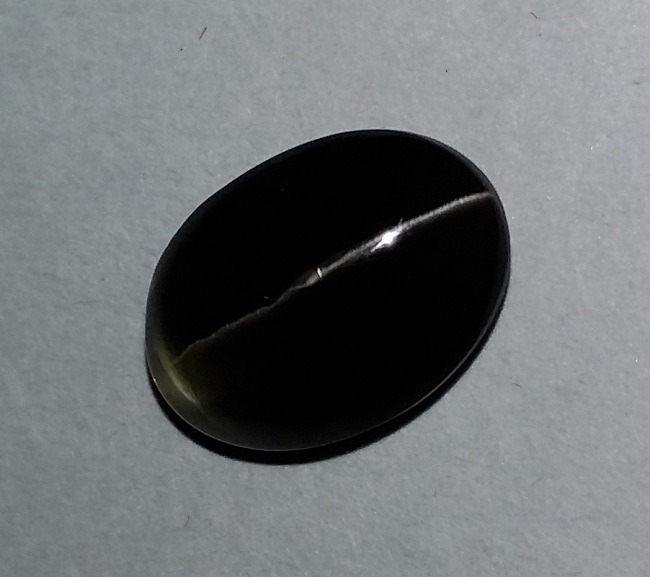 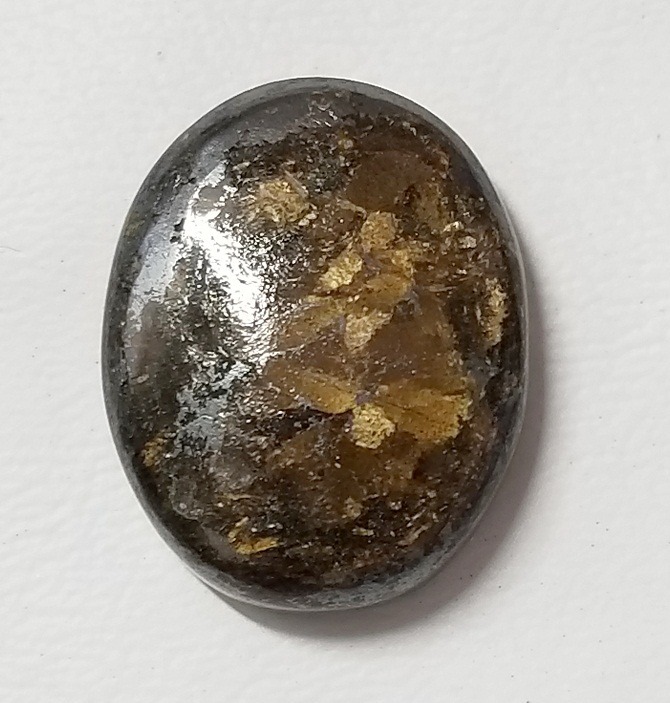 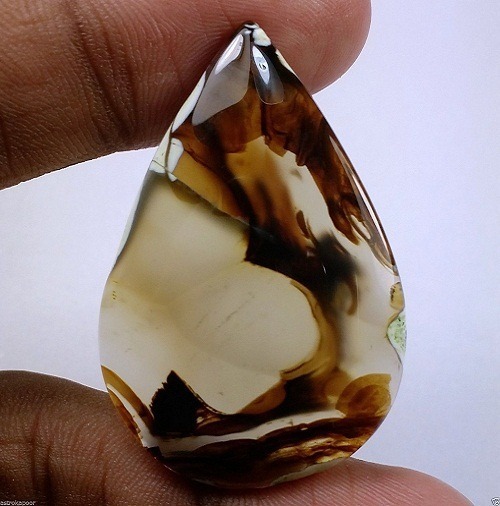 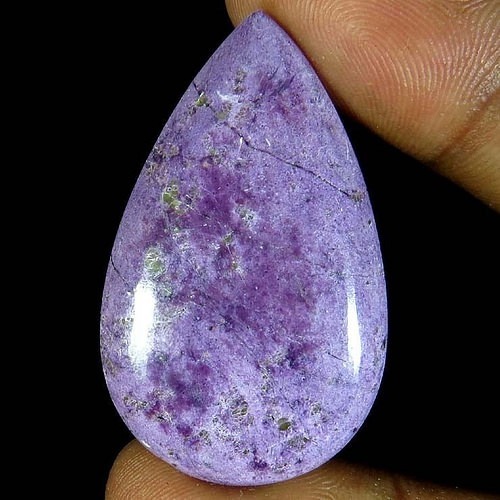 Most of this stone has an appearance of star, but star sapphire from Thailand has gold colored asterism. 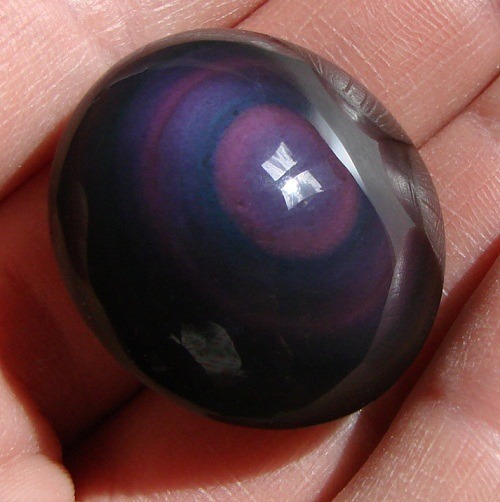 Star sapphire is mostly found in Australia, Burma, Srilanka, Thailand, and Brazil. 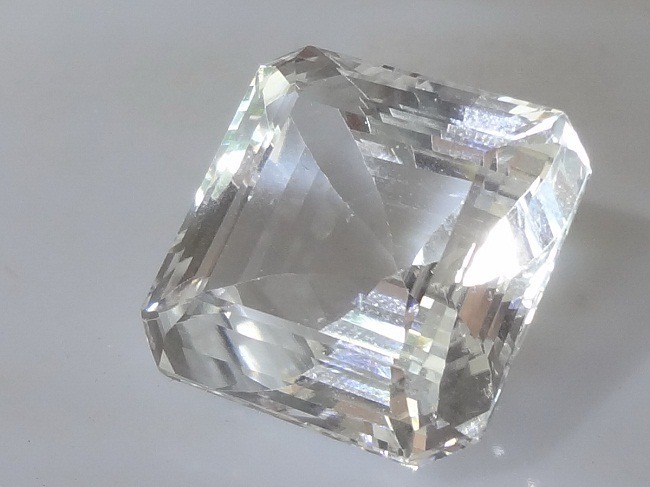 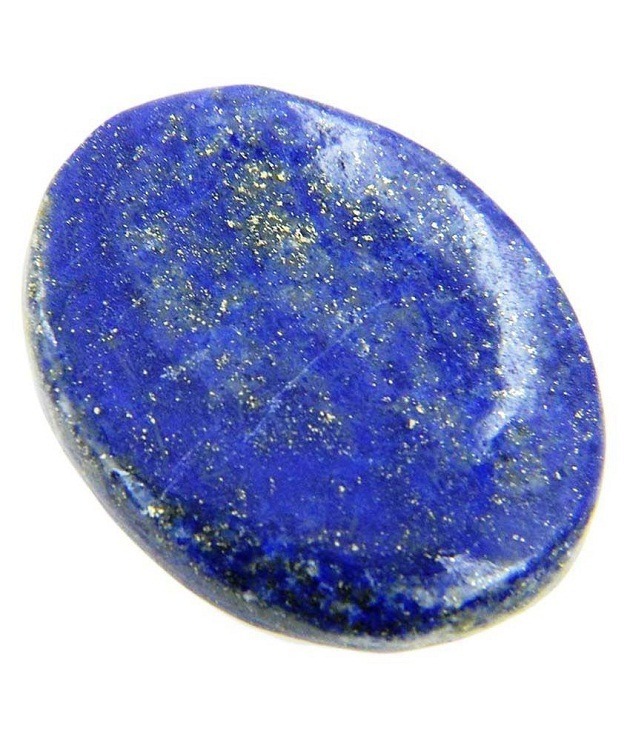 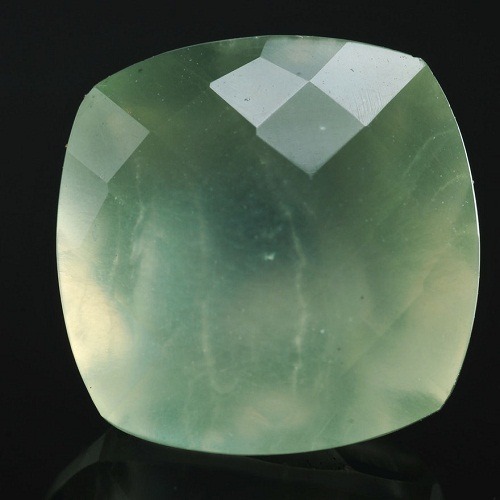 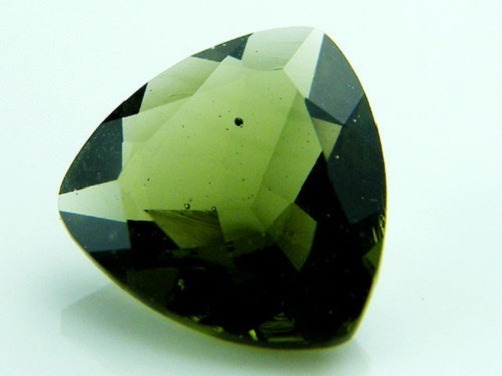 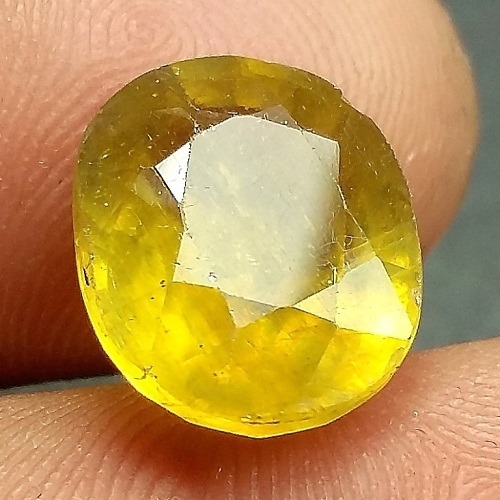 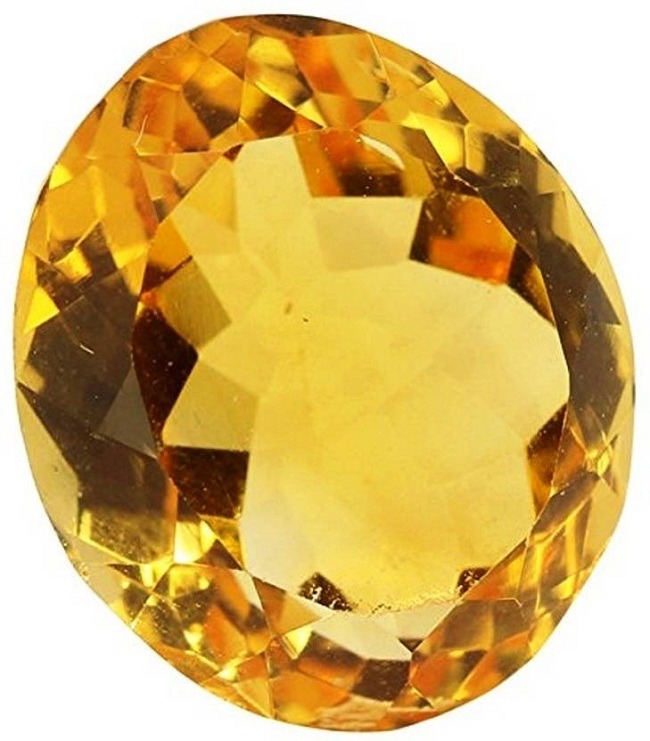 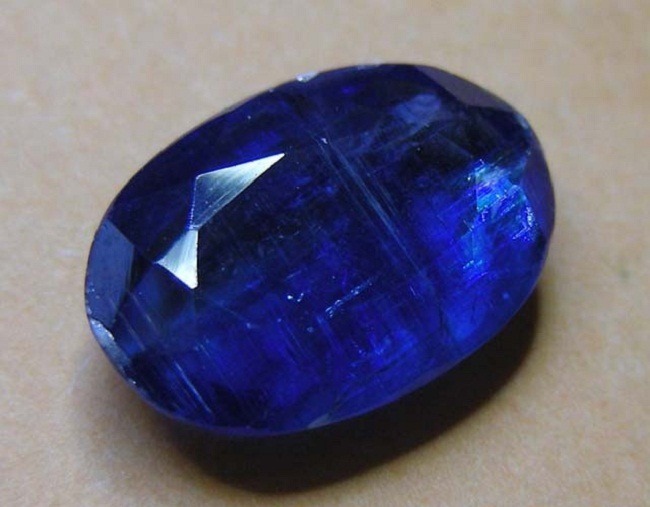 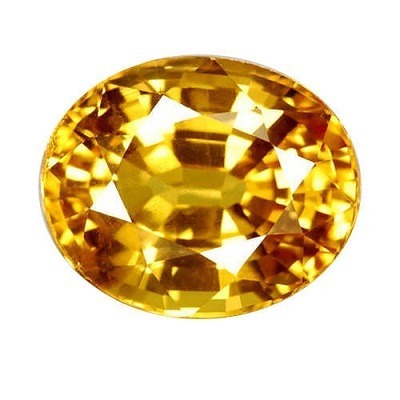 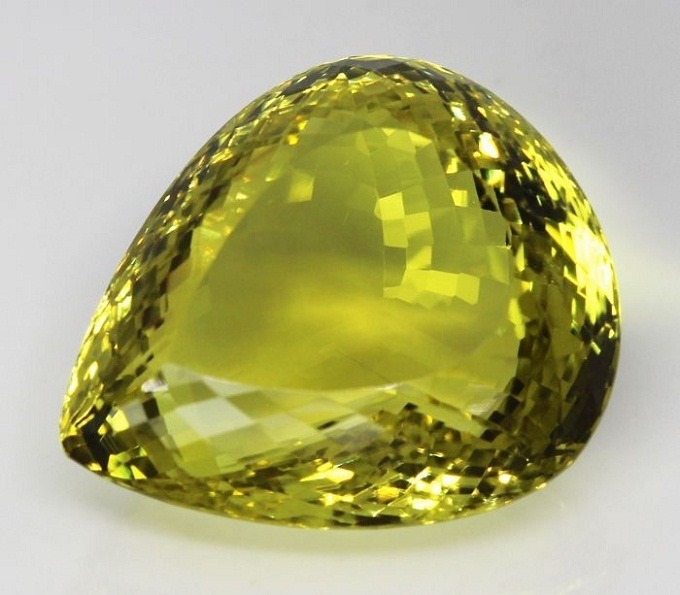 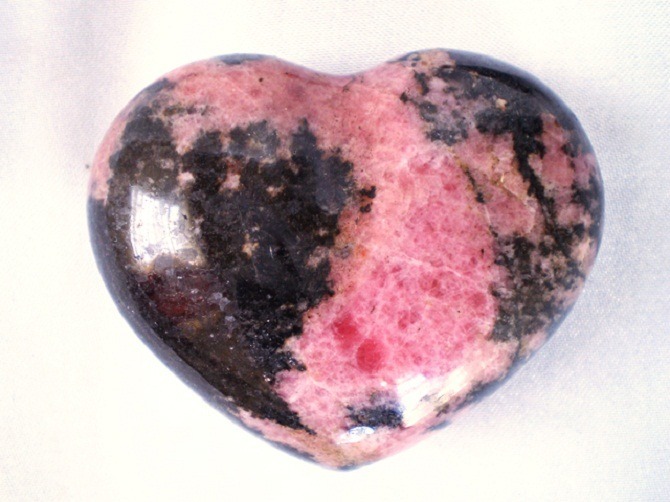 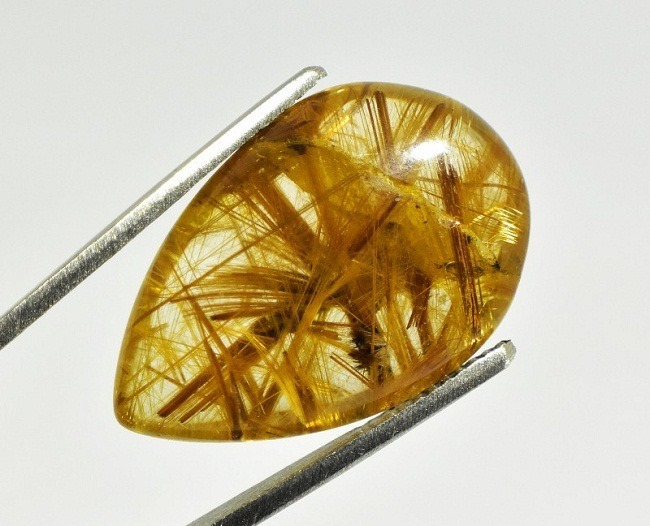 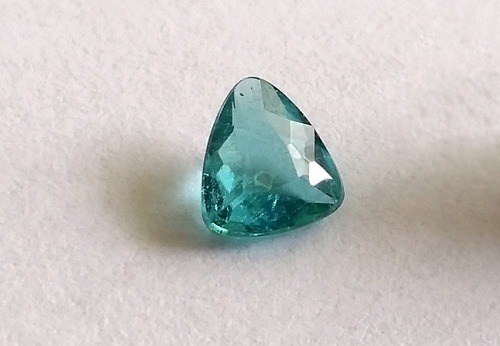 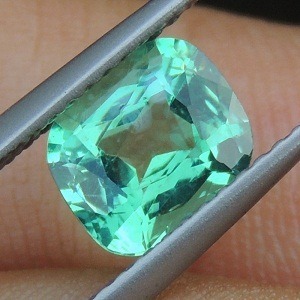 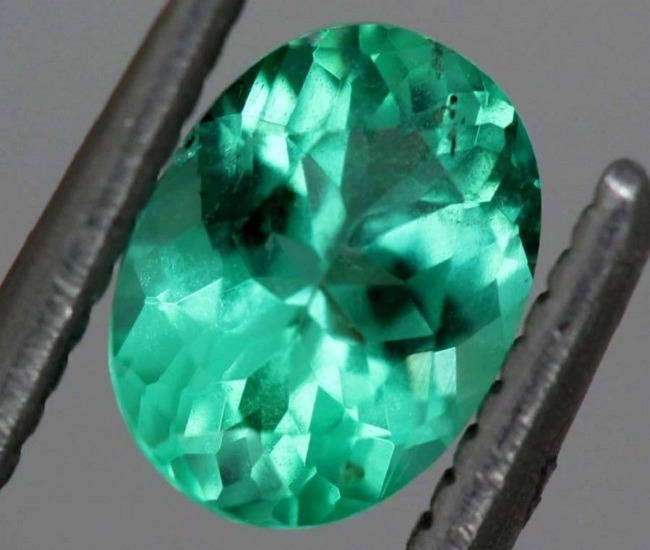 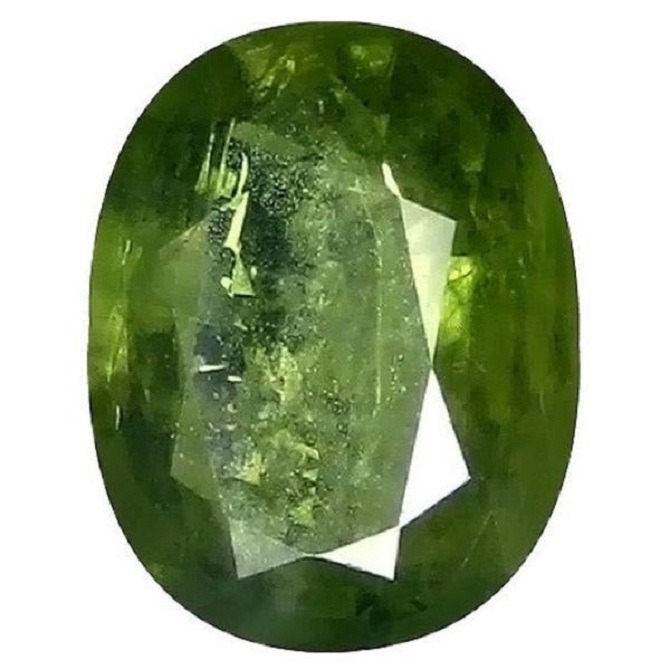 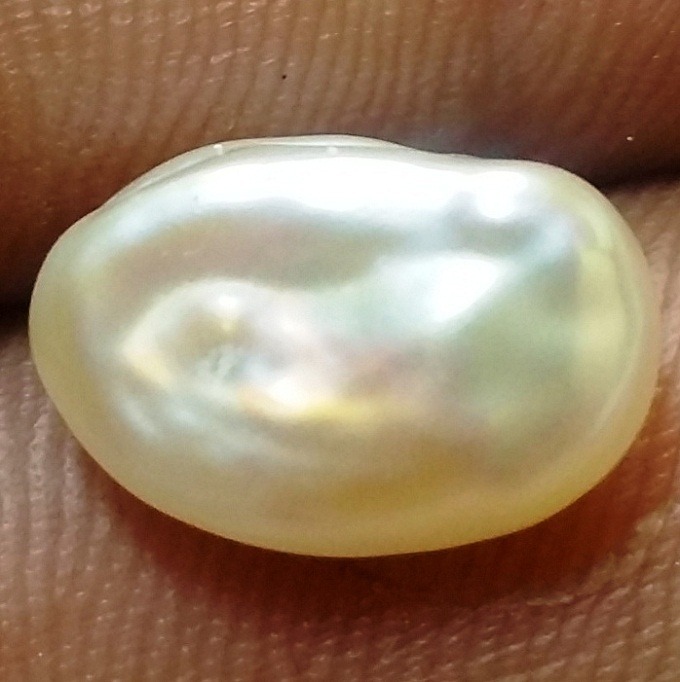 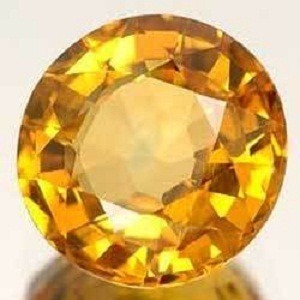 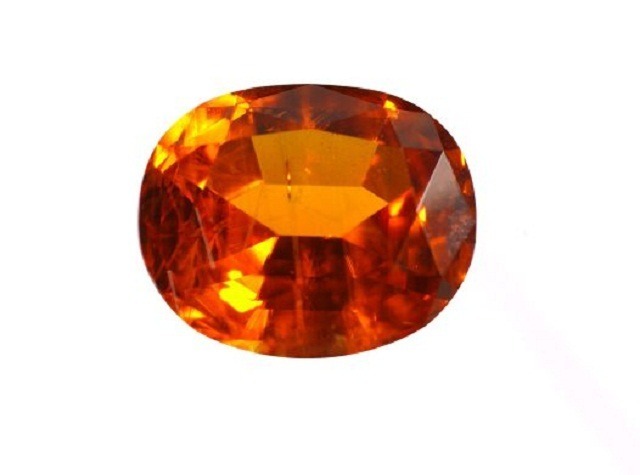 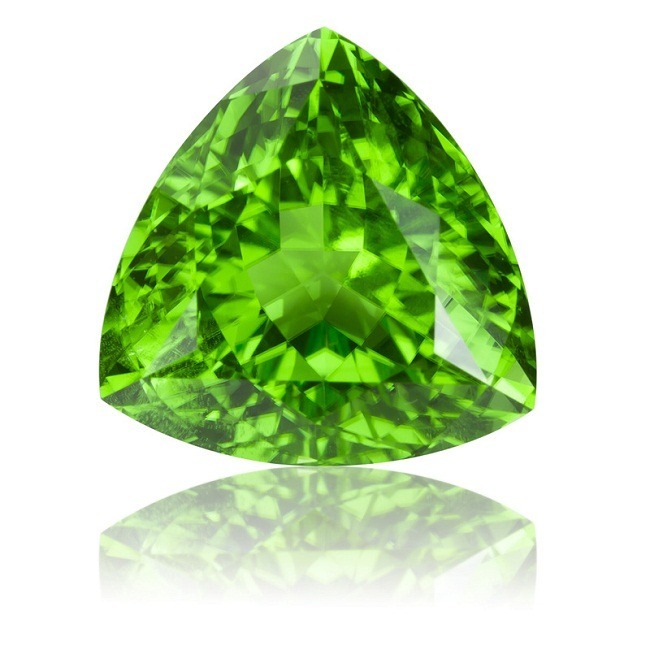 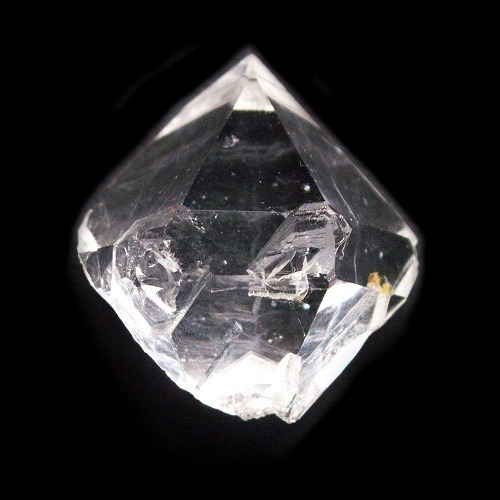 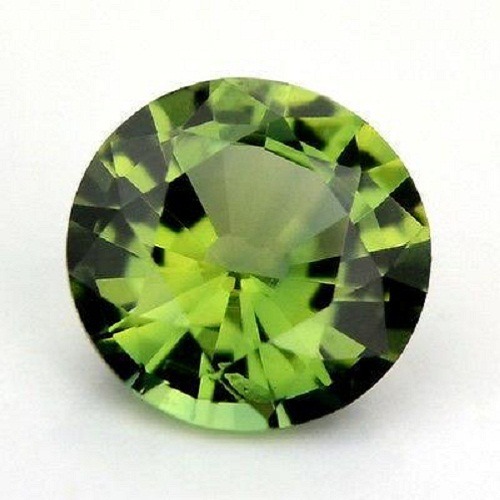 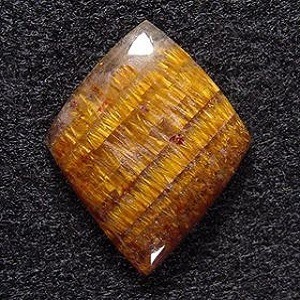 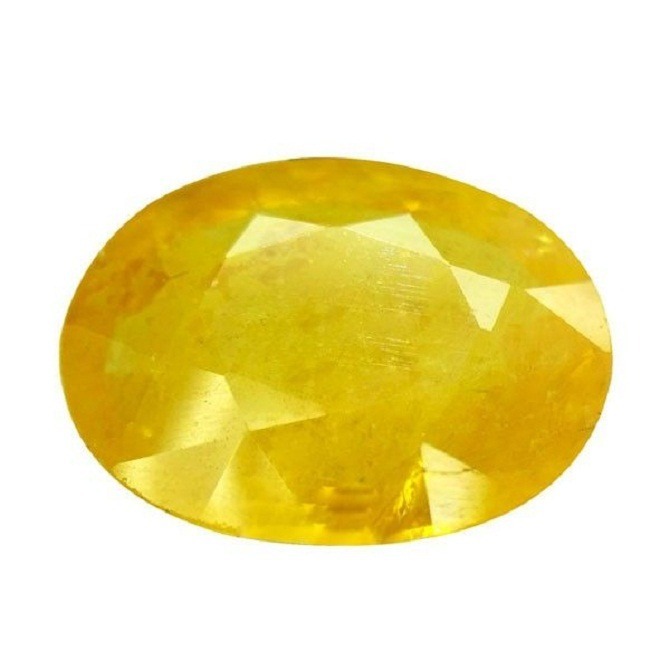 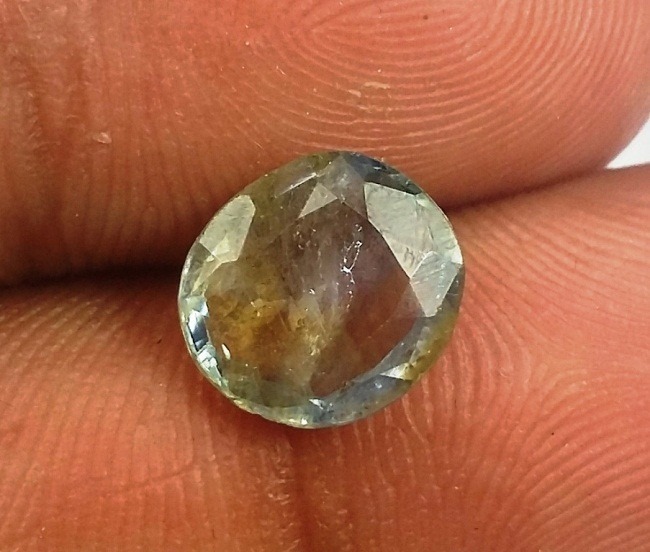 It can be differentiated from the other sapphire, by presence of unique asterism. 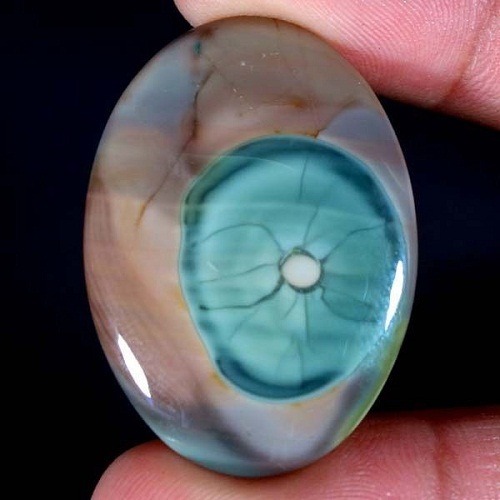 The six-rayed-star effect more clearly visible under light, if rotated in a circular motion. 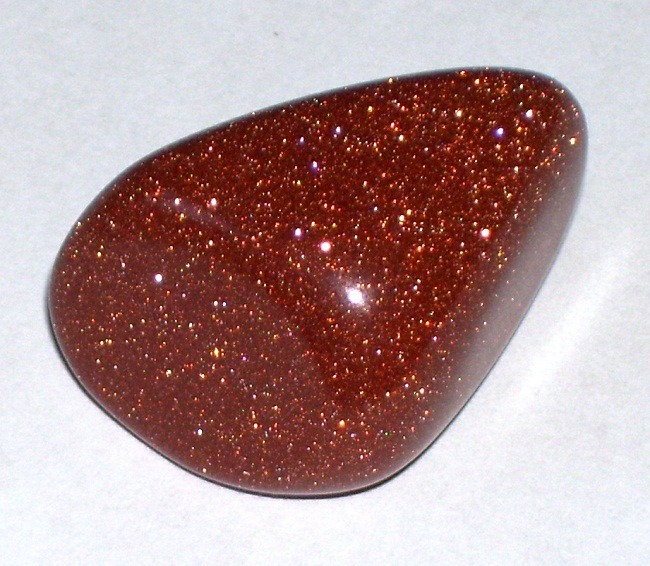 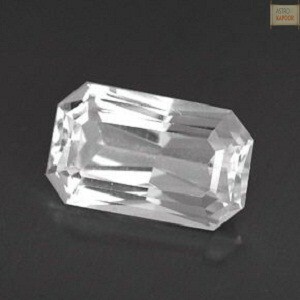 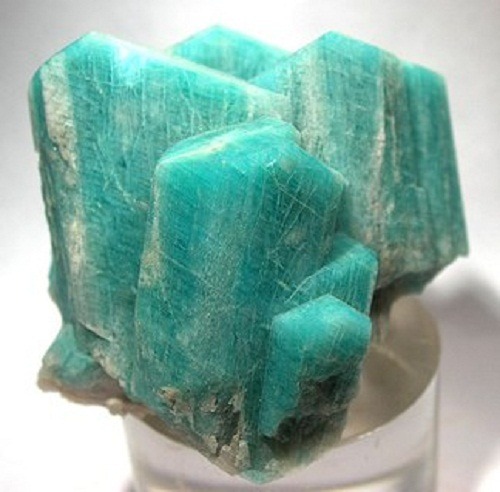 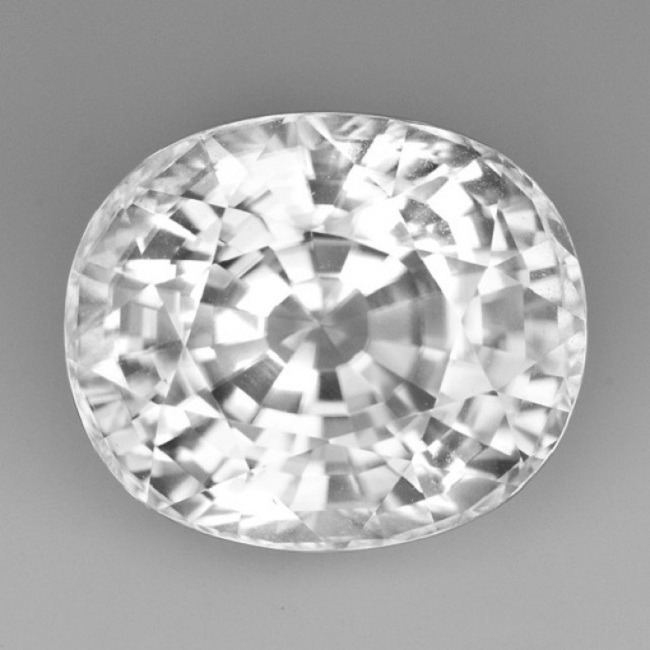 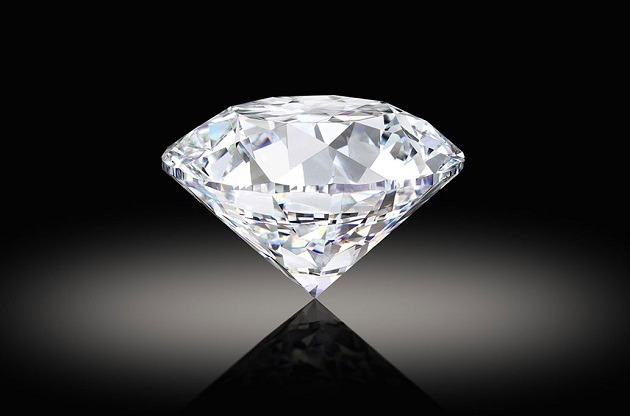 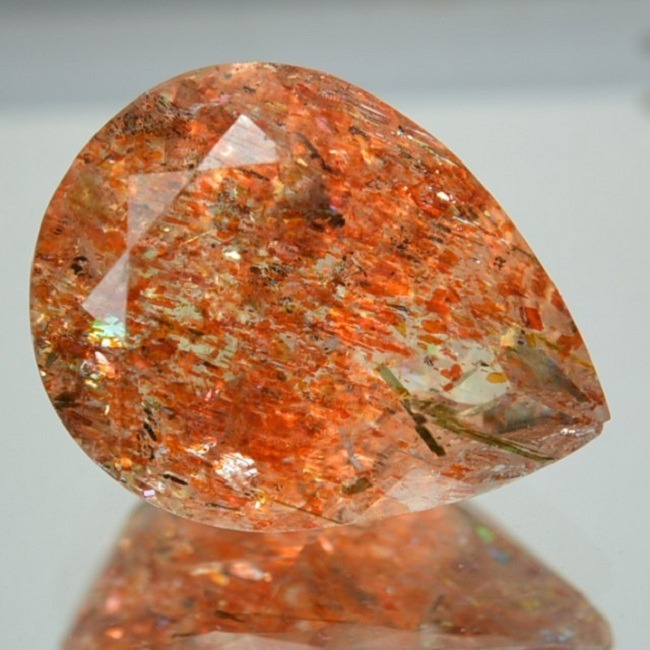 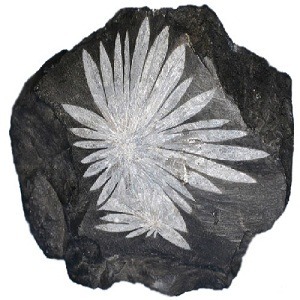 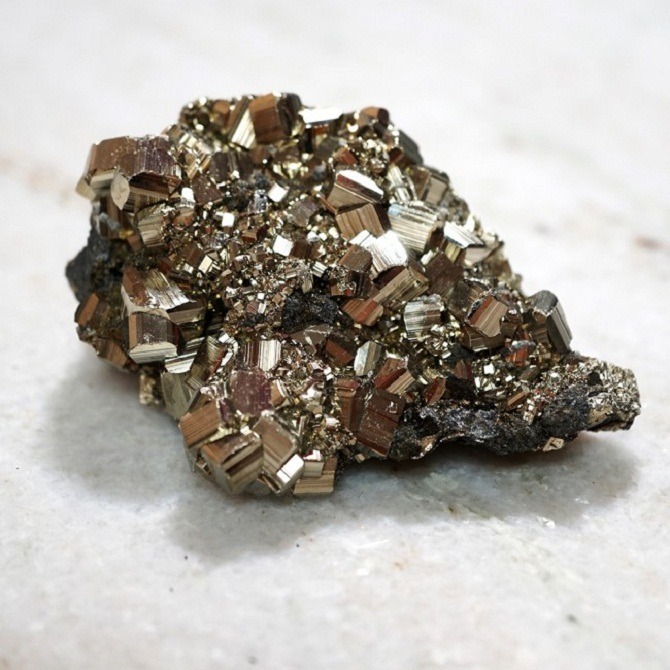 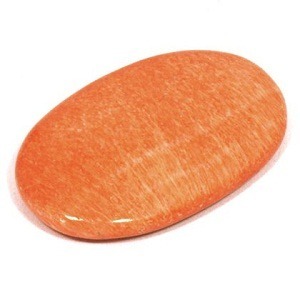 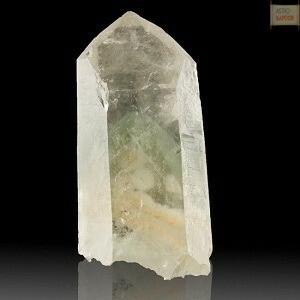 Chemically, this stone is a combination of aluminum oxide and forms as trigonal crystals. 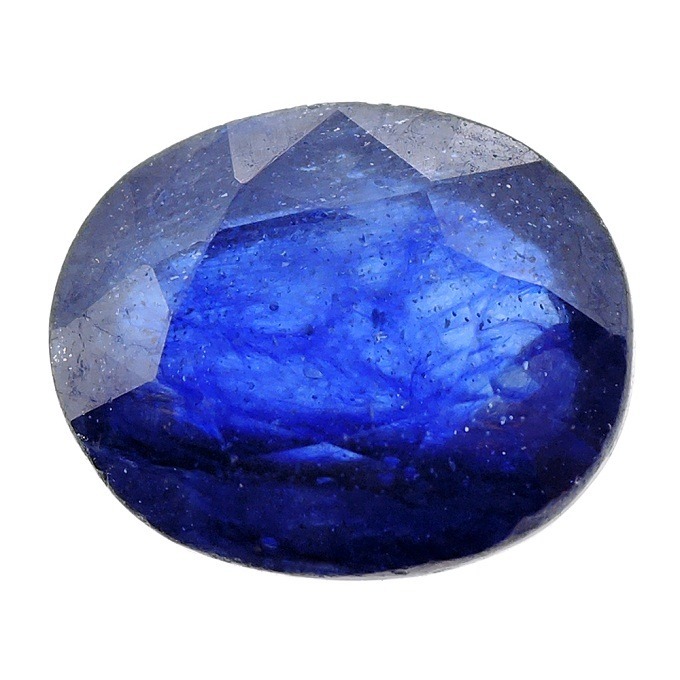 Sapphire is the gemstone for those who are born in the month of September, and it also depends upon the individual birth chart and the ascendant. 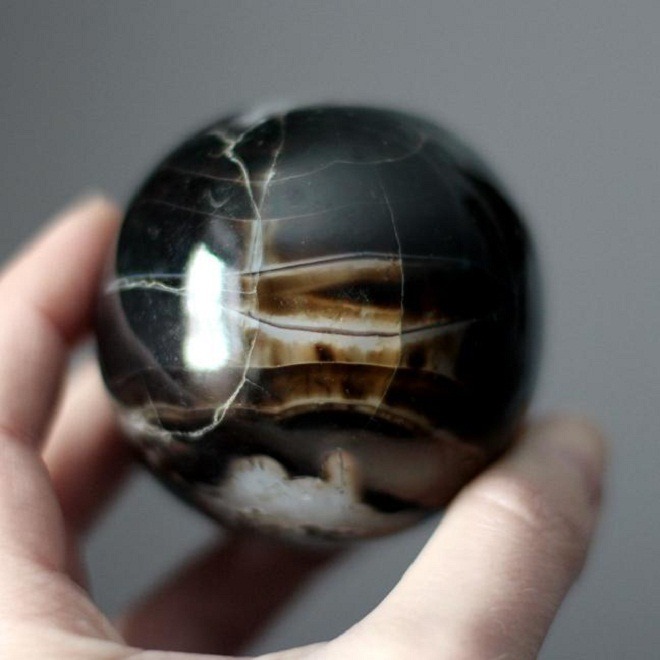 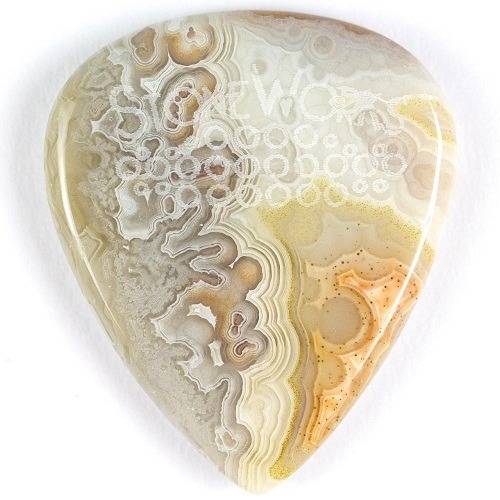 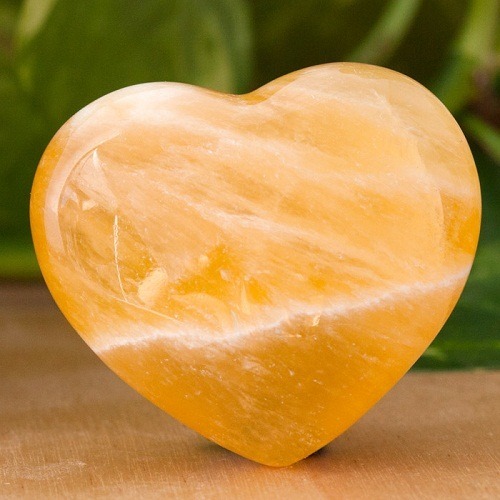 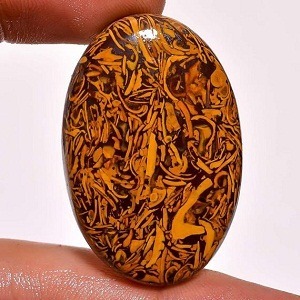 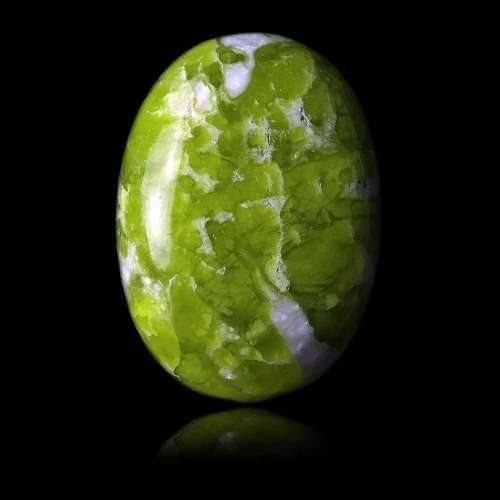 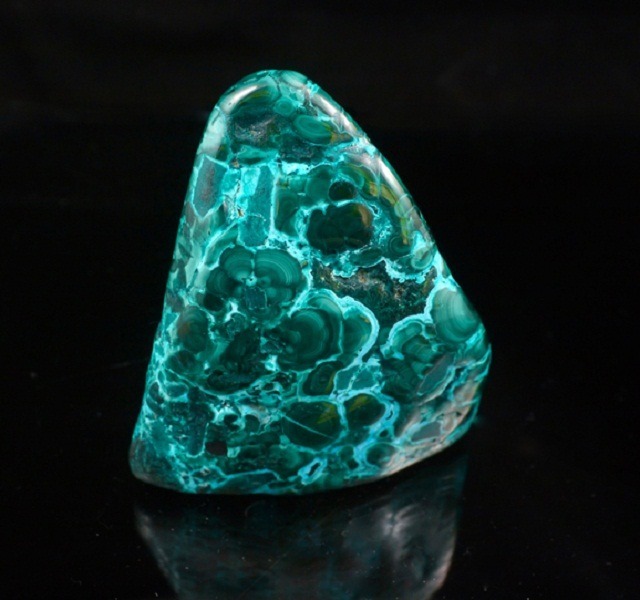 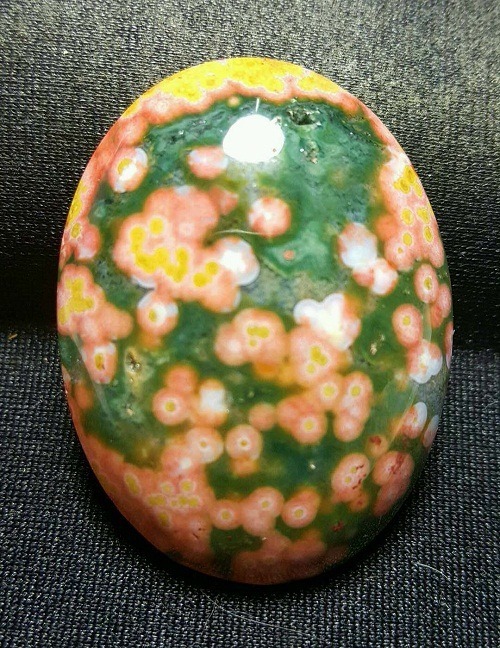 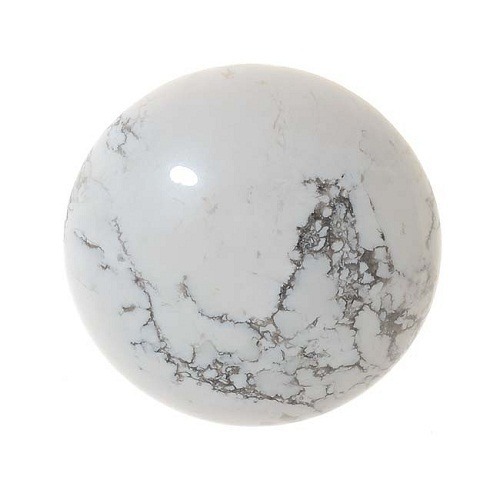 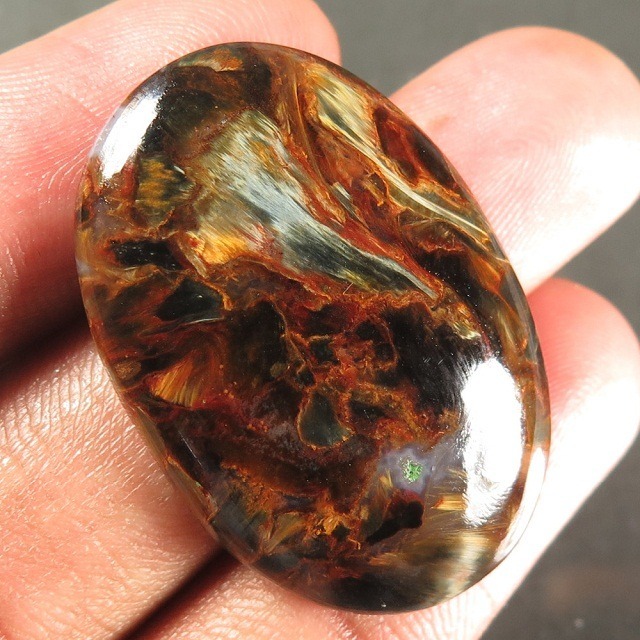 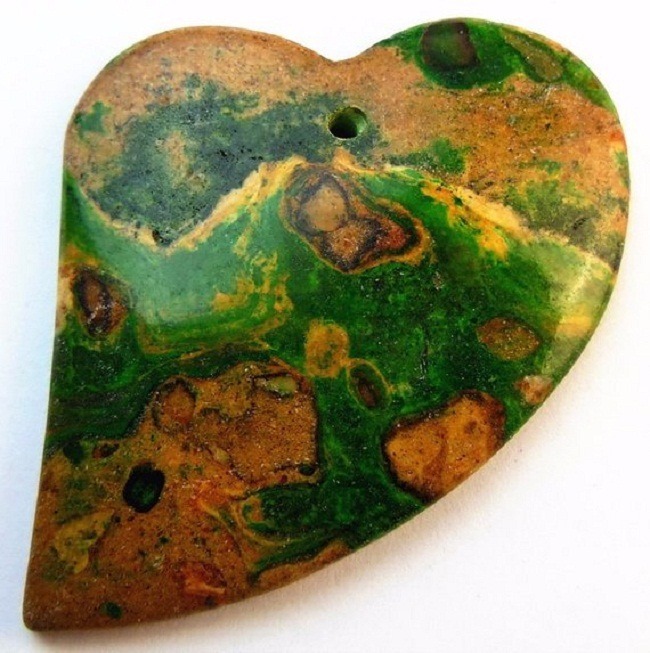 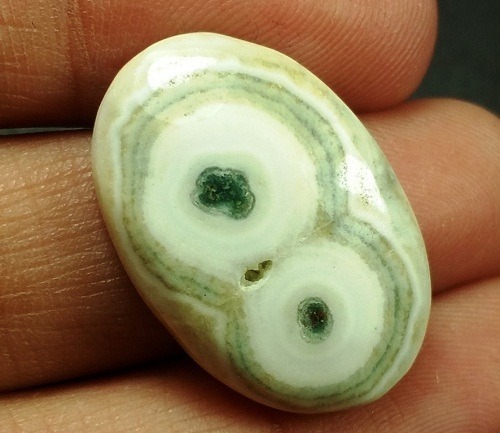 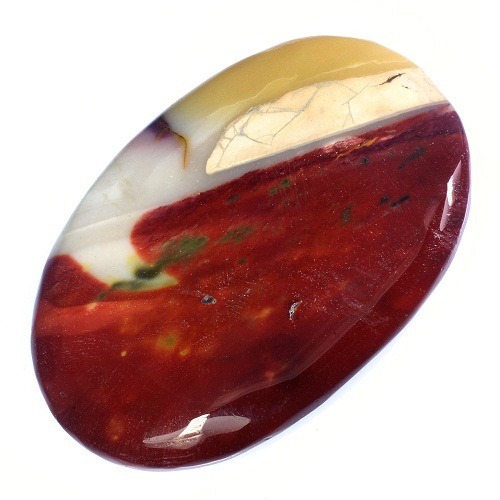 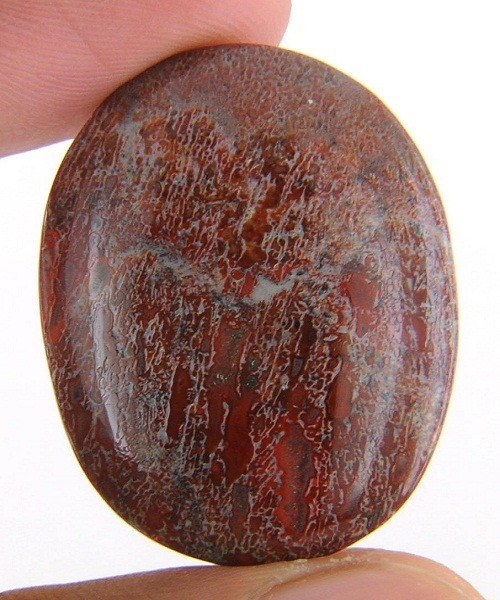 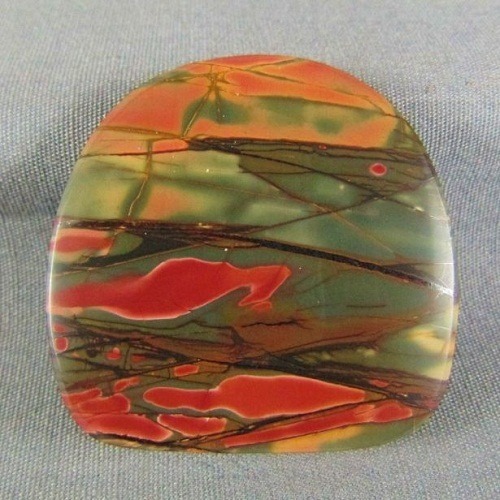 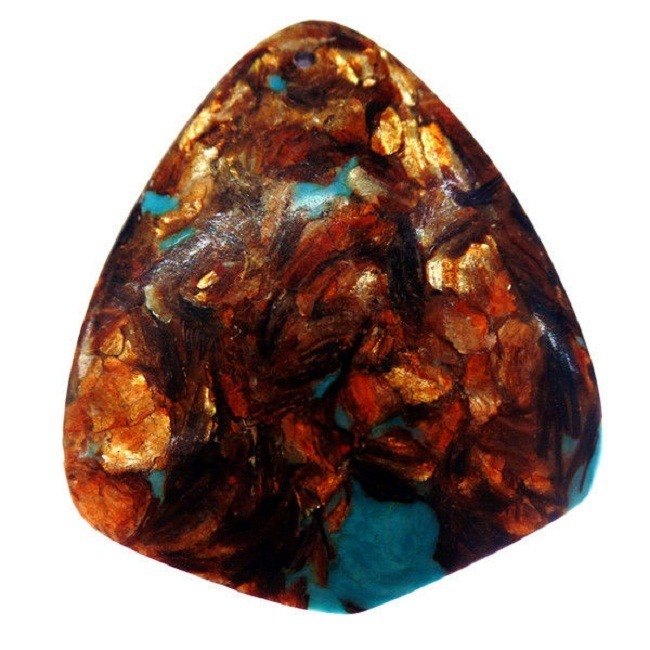 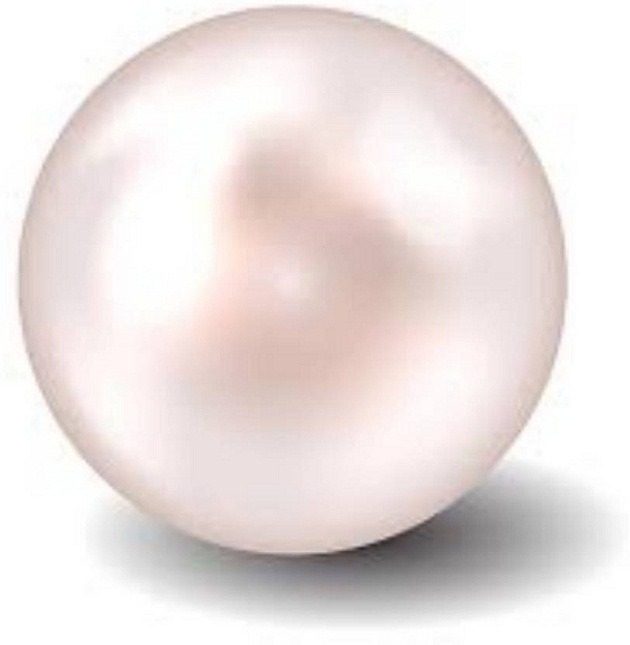 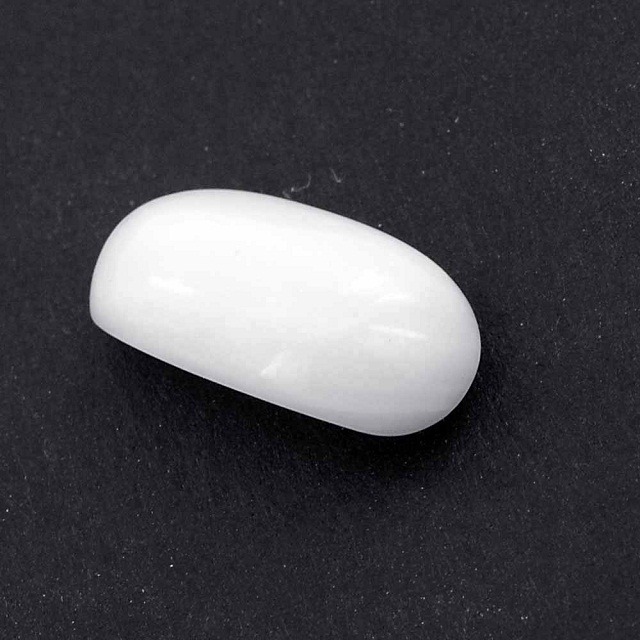 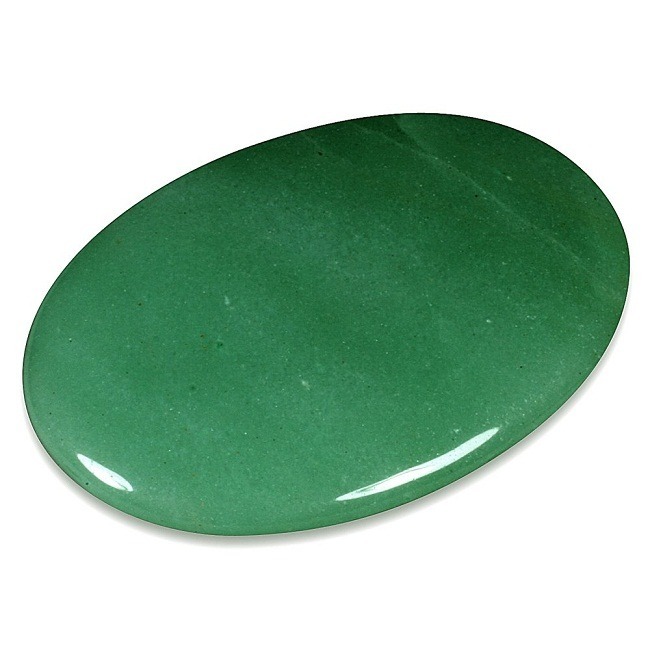 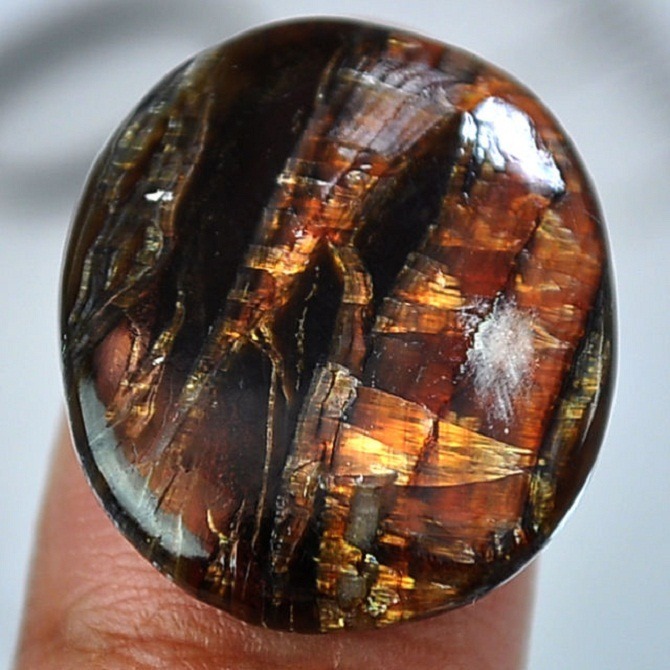 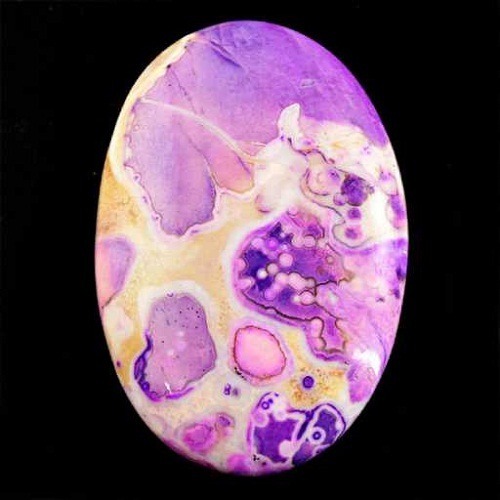 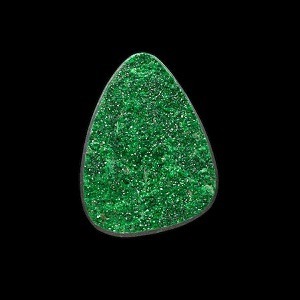 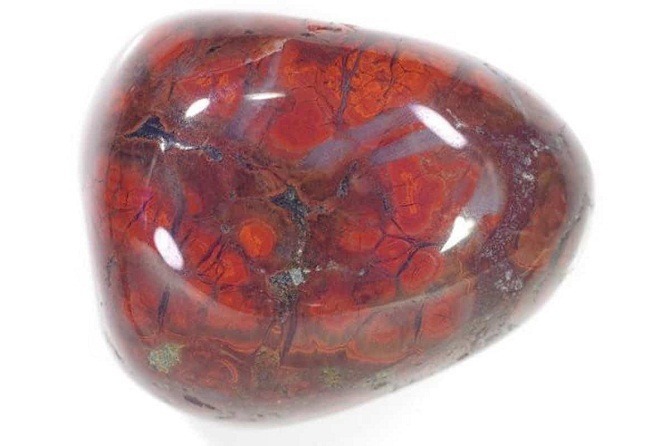 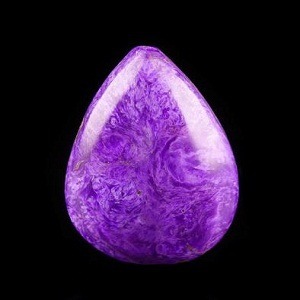 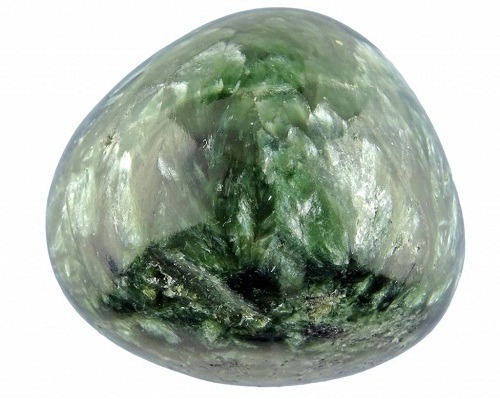 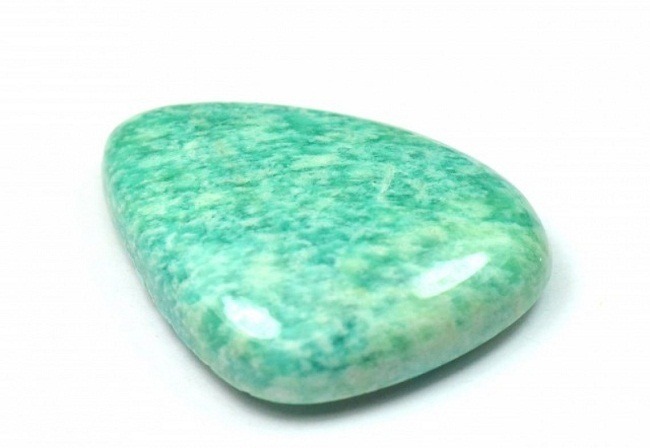 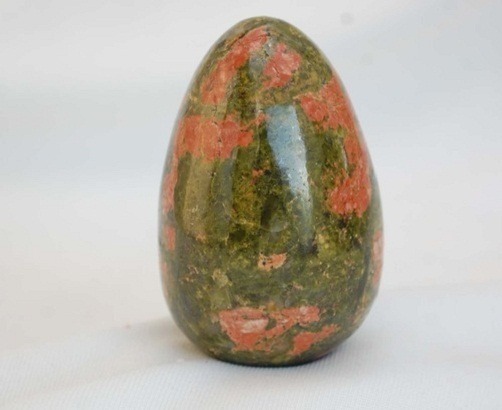 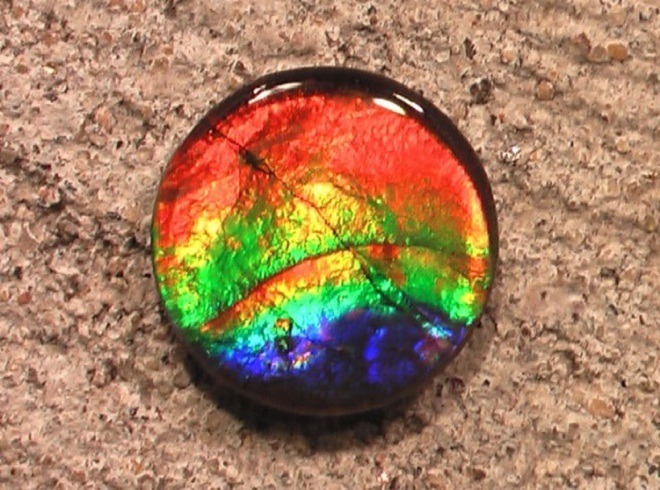 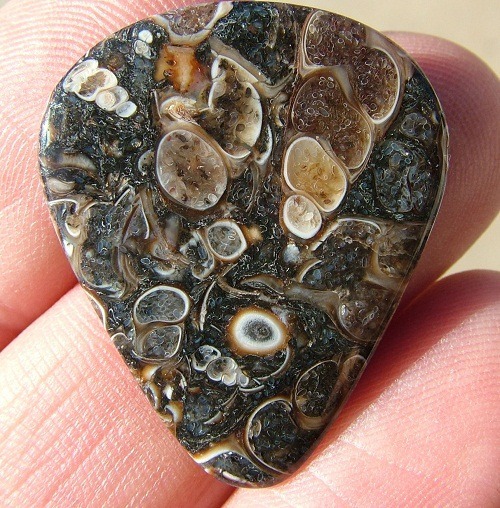 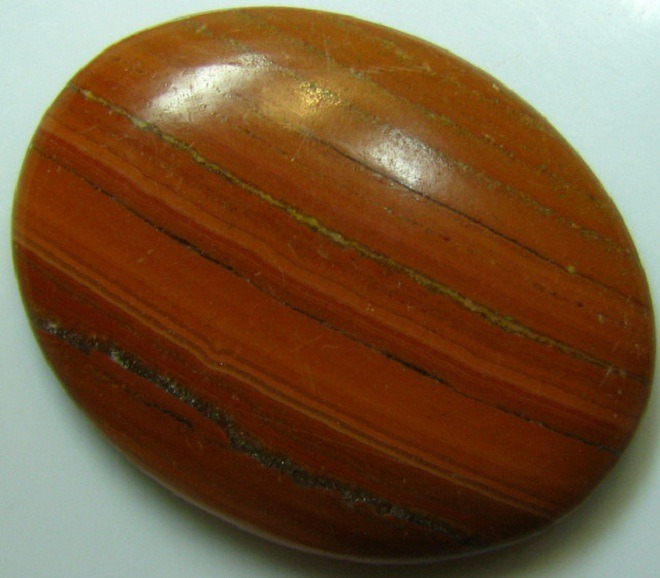 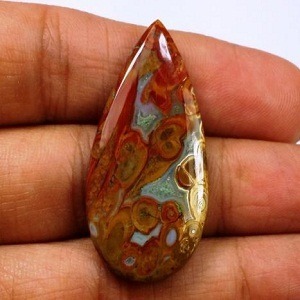 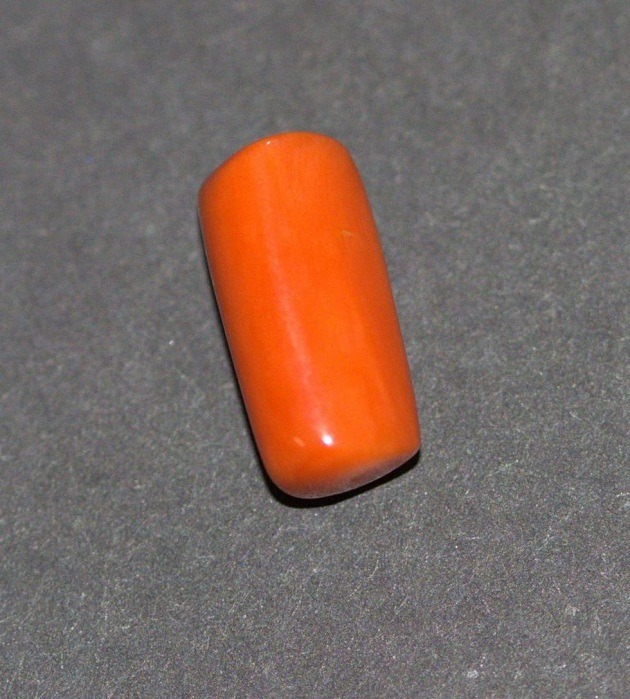 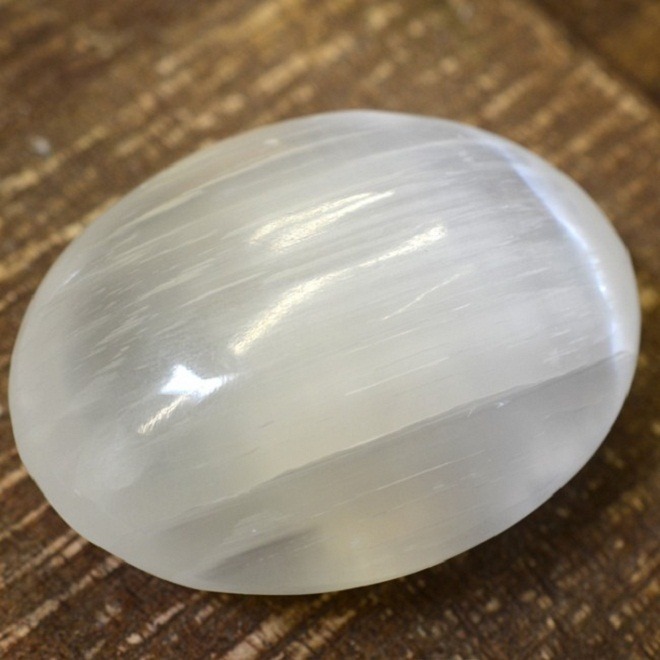 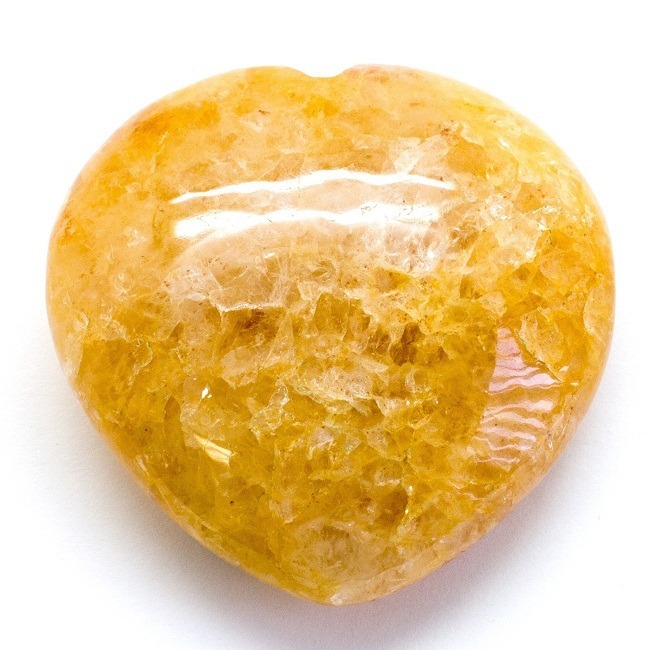 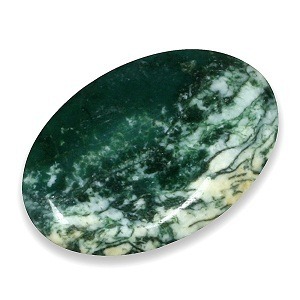 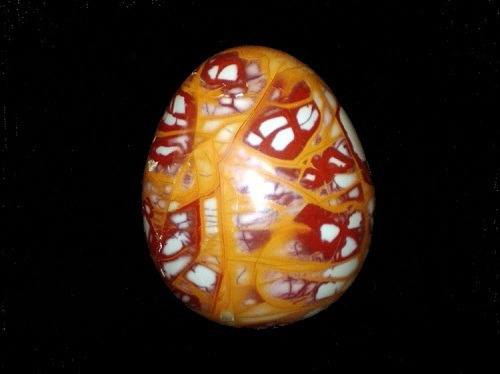 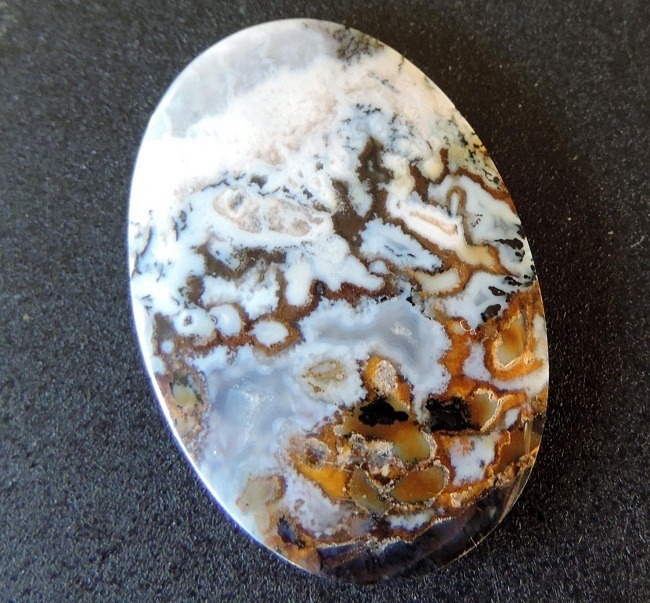 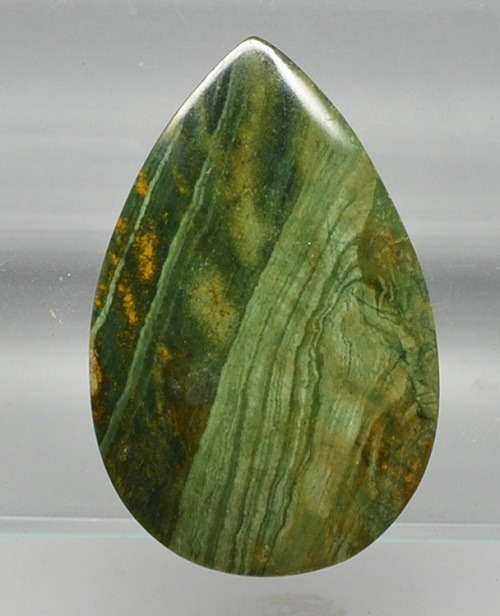 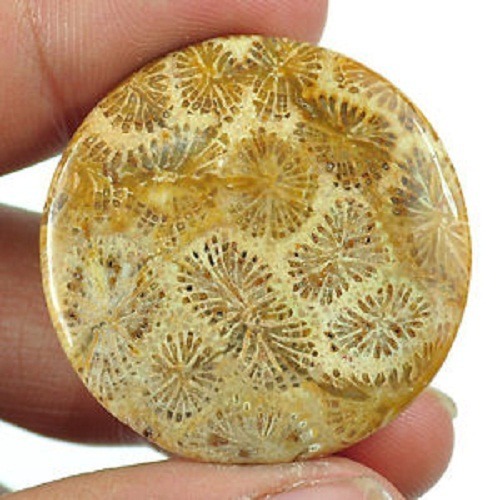 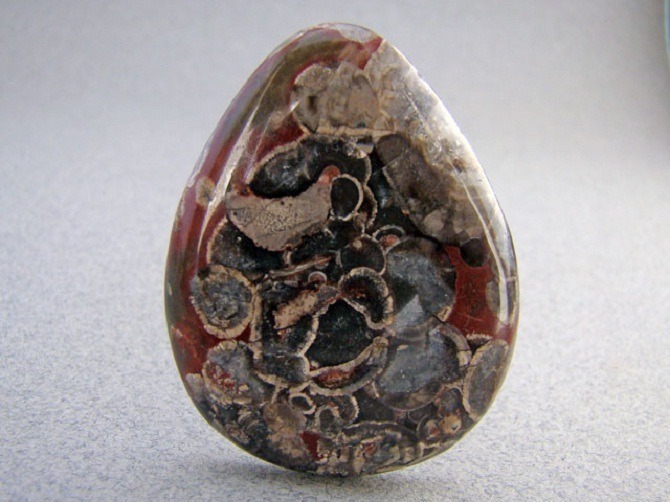 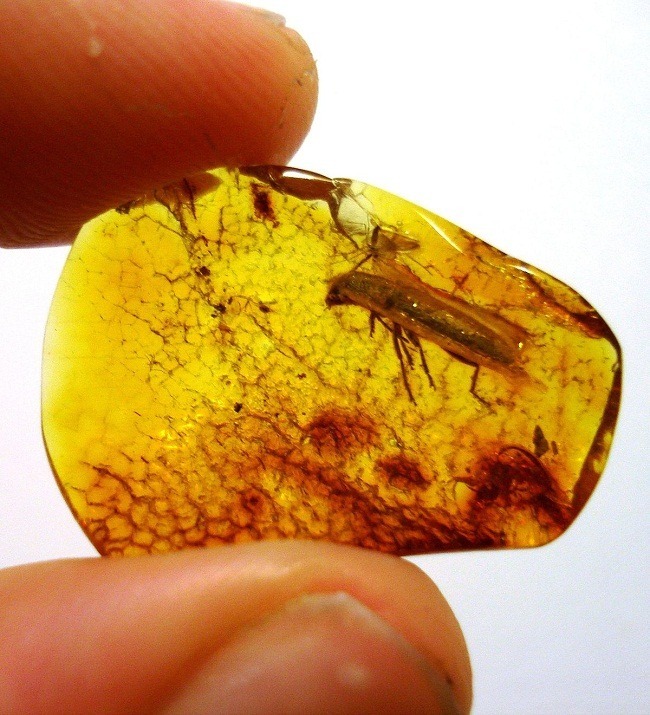 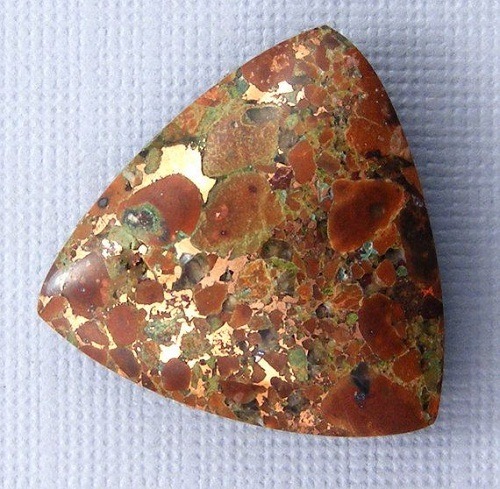 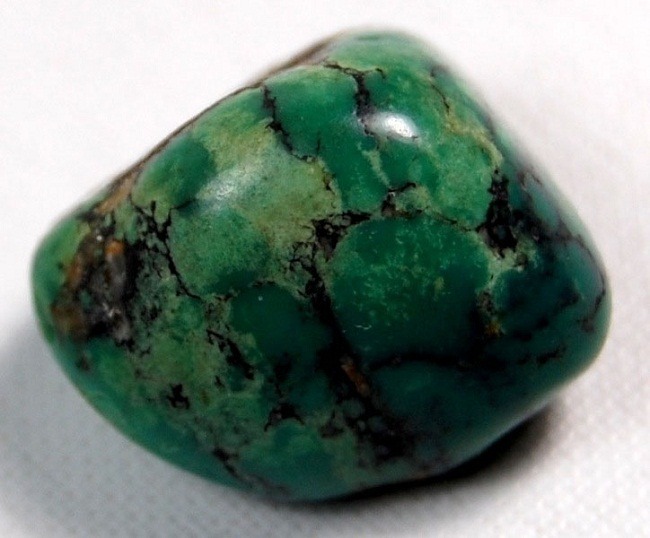 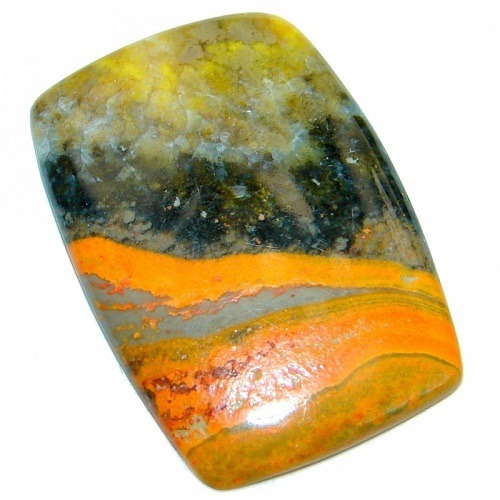 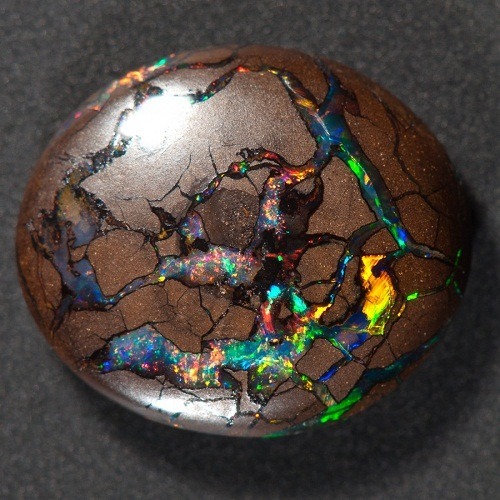 The ancient regarded this stone as powerful talisman for protecting travelers and seekers. 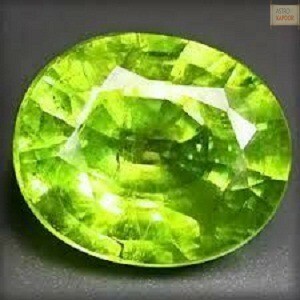 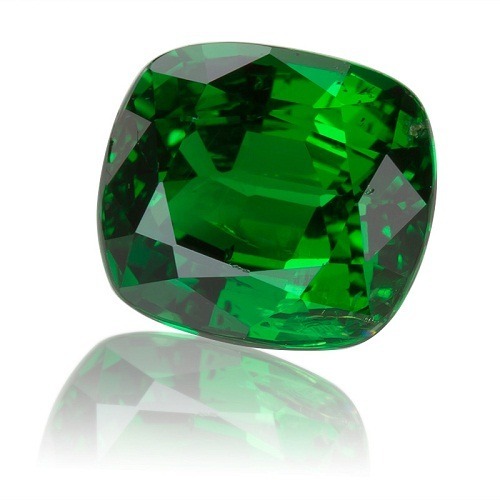 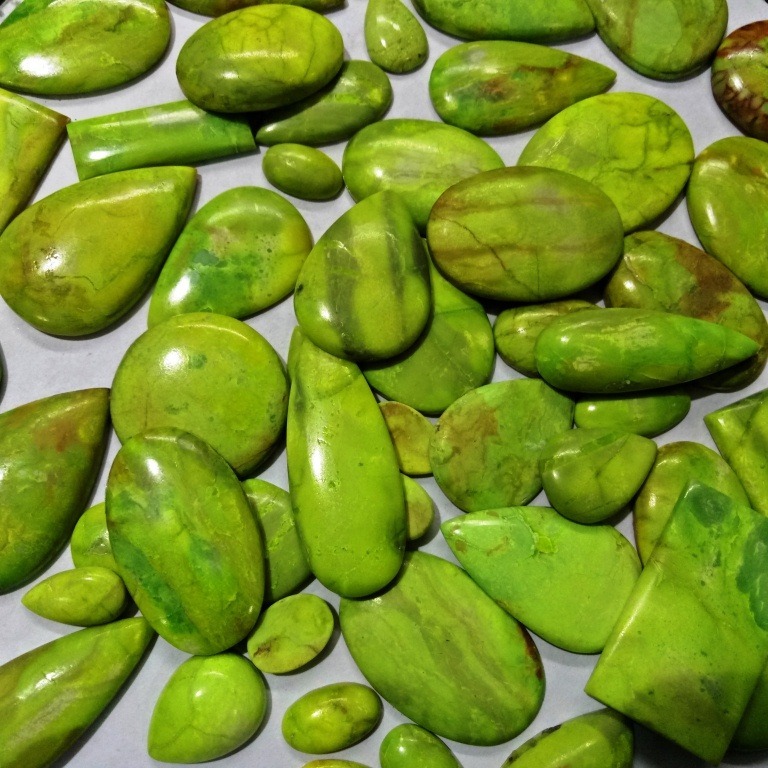 It is one of the most durable gemstone and can be worn daily as earrings, necklace and bracelets. 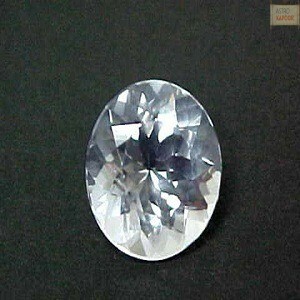 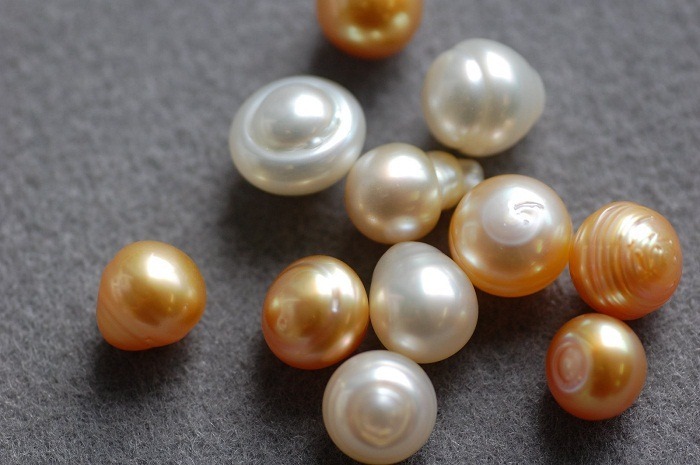 It is very suitable for jewelry which is exposed to direct light. 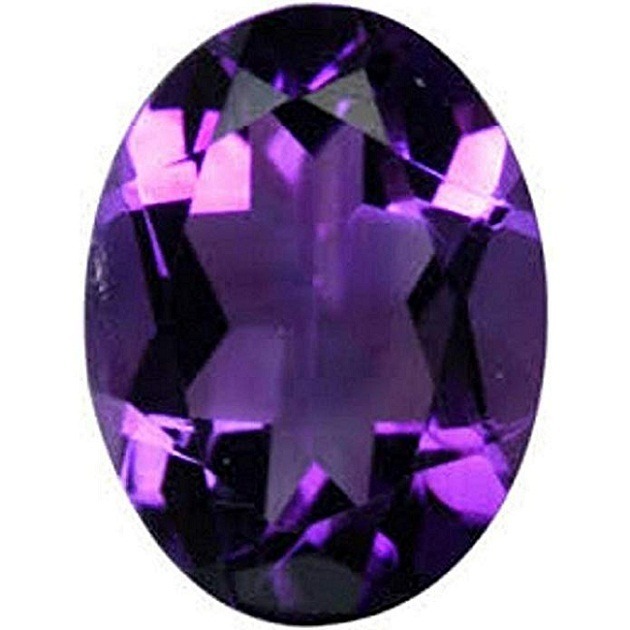 It is readily available in large size. 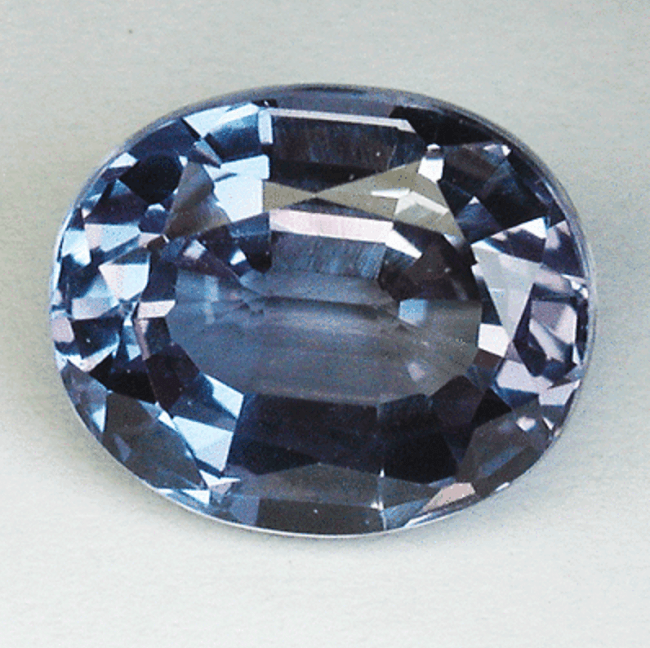 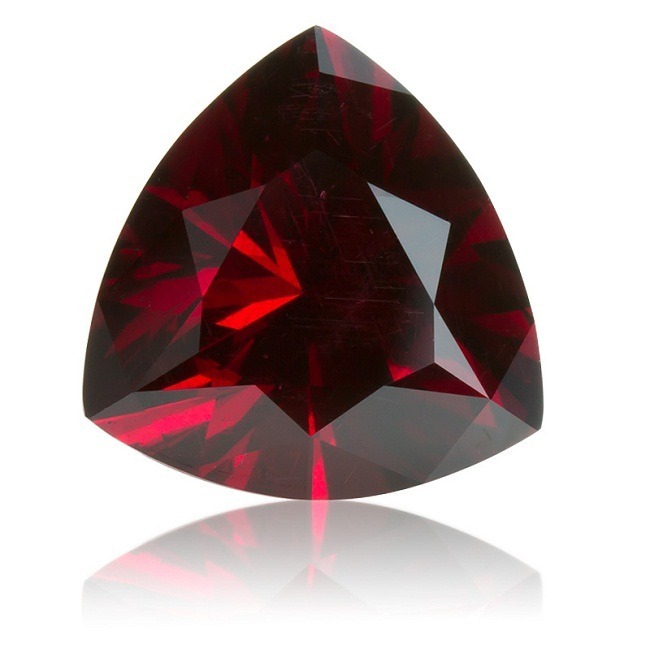 Some black star sapphires can be found in large size and very perfect for oversize rings and pendants. 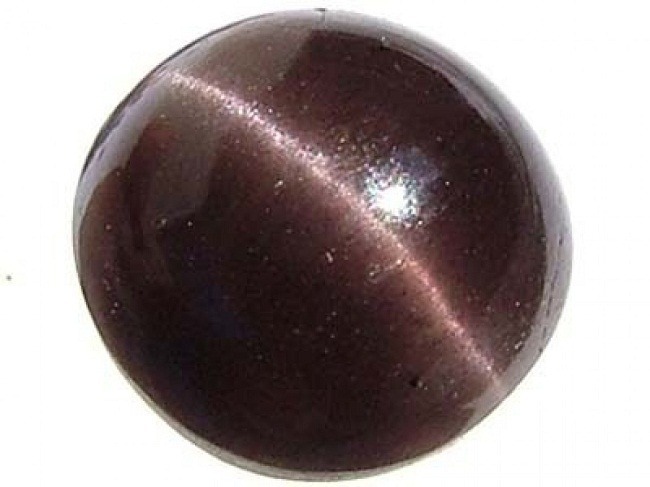 Star Sapphire gemstones give immense benefit to the wearer. 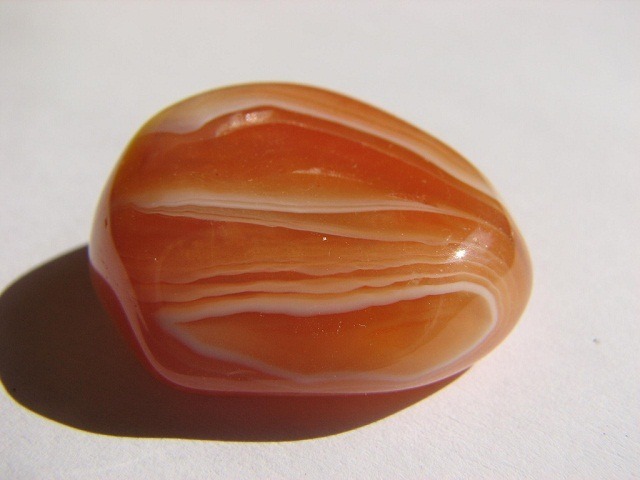 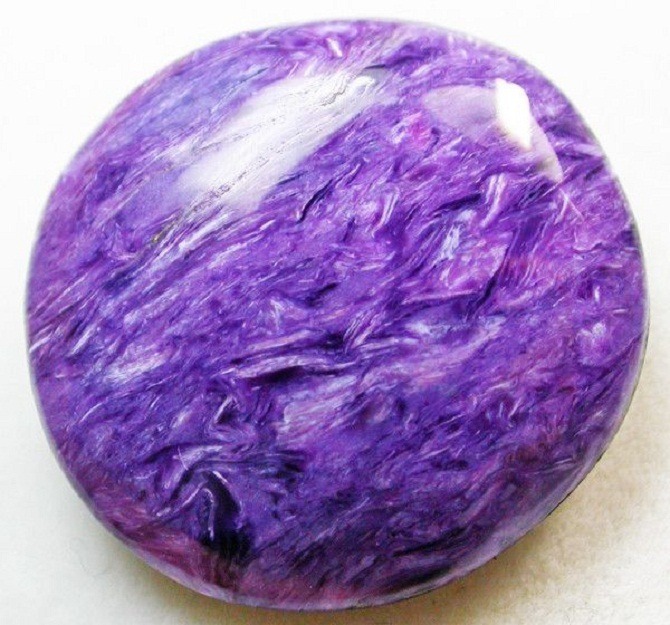 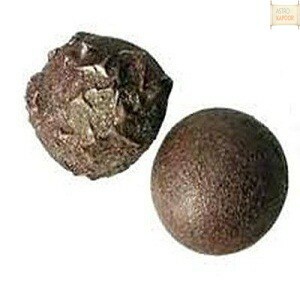 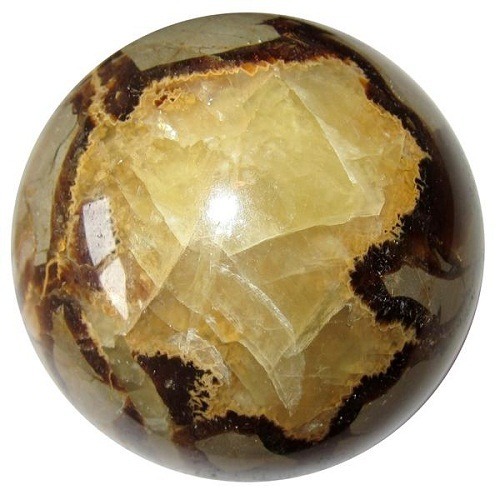 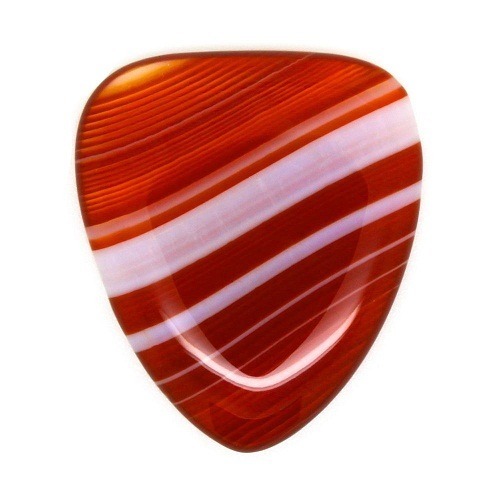 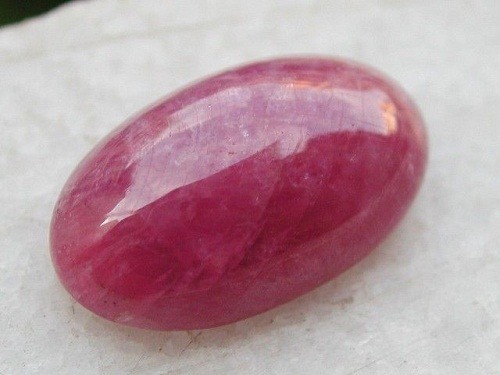 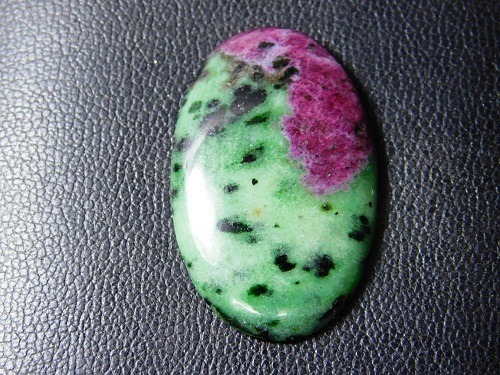 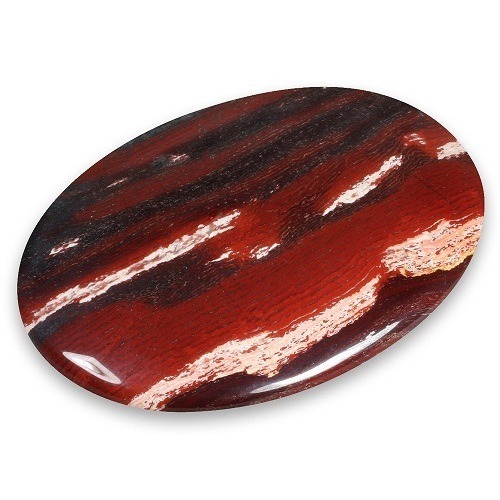 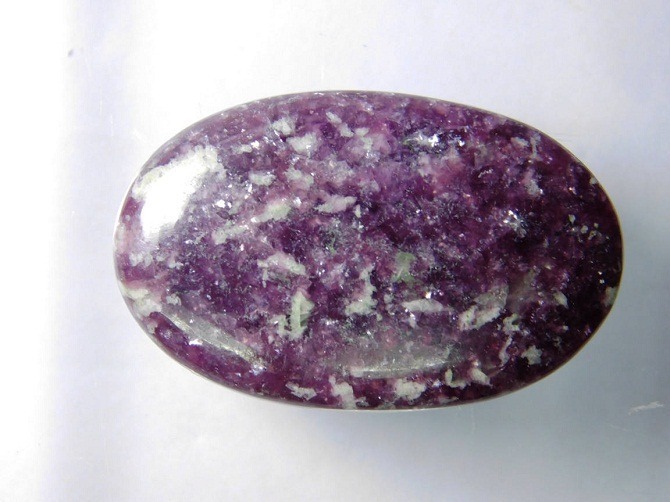 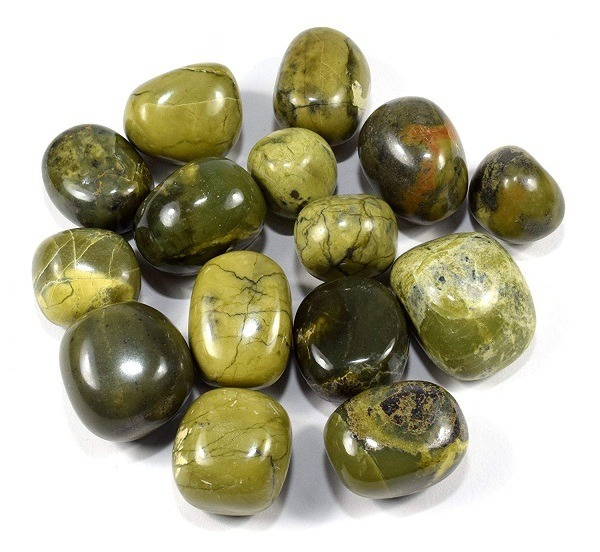 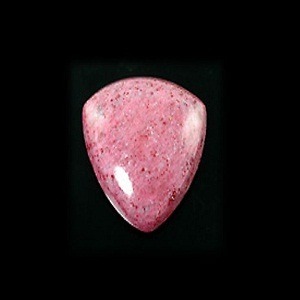 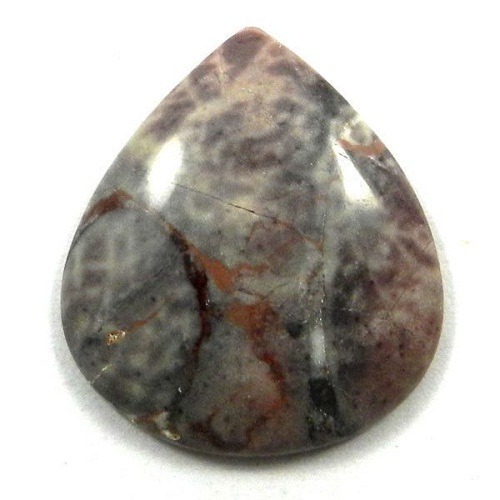 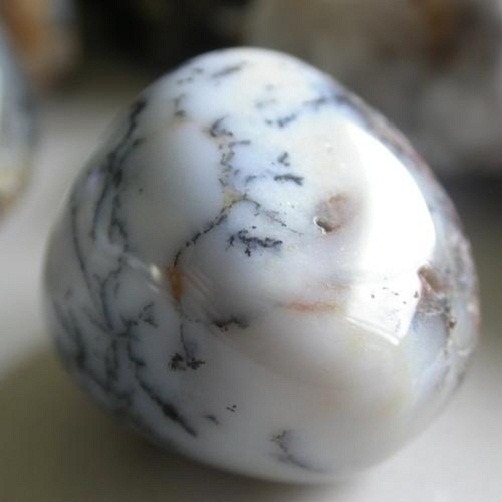 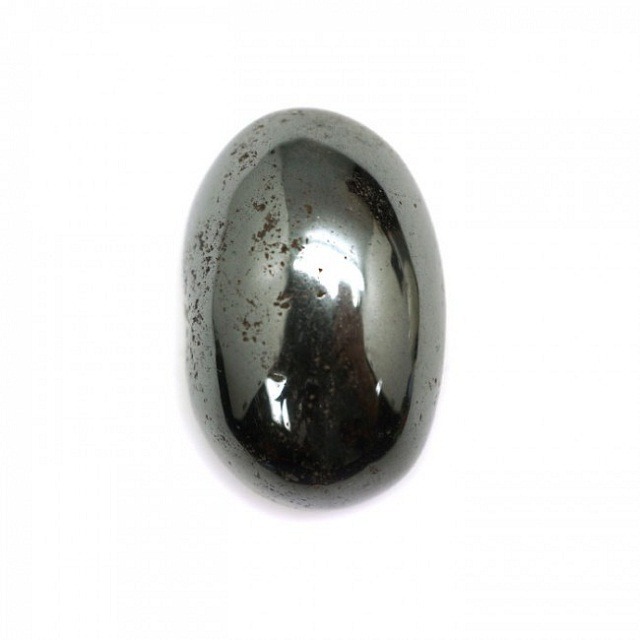 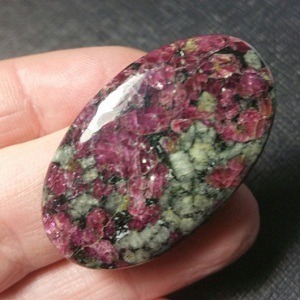 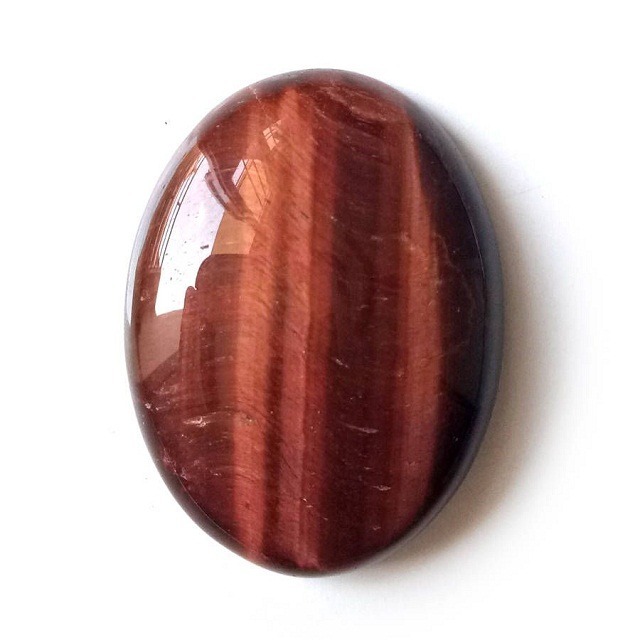 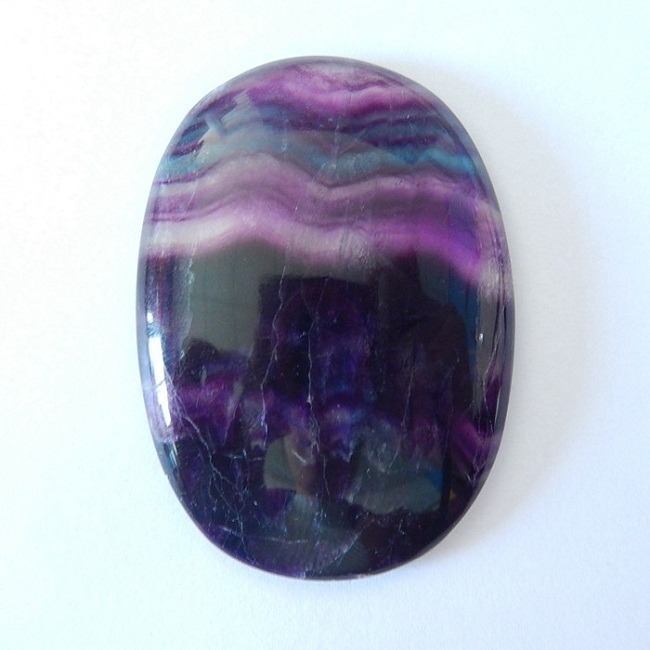 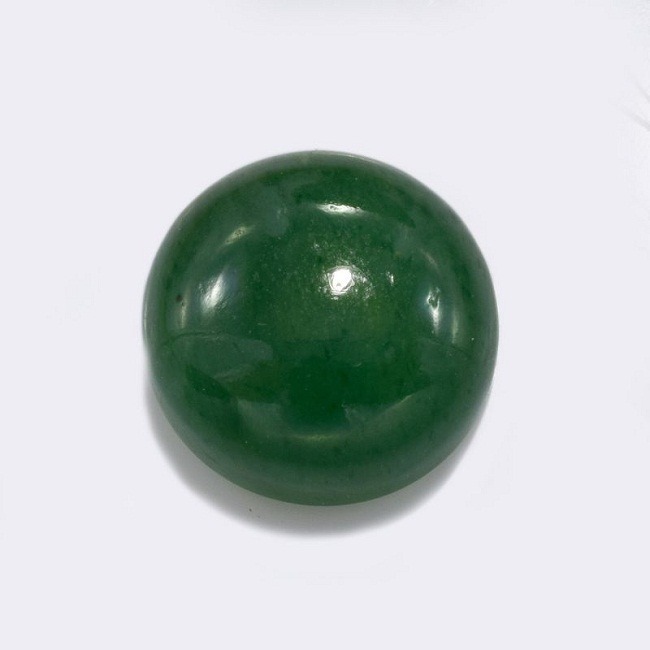 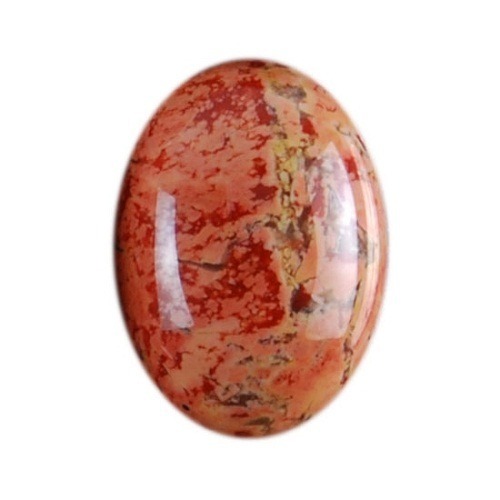 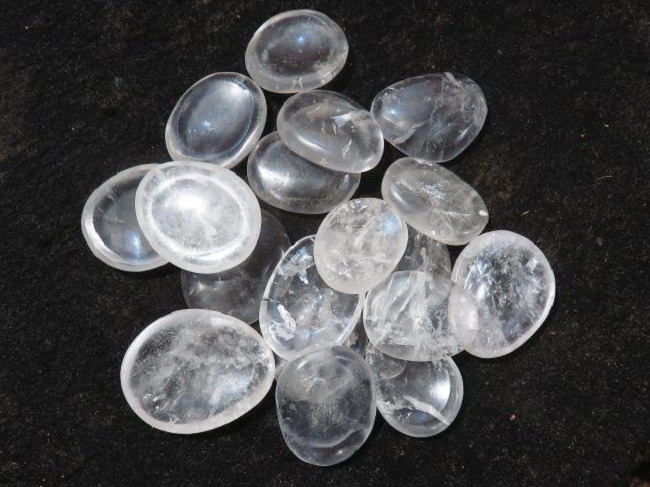 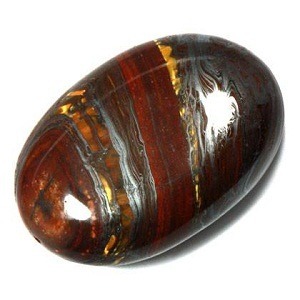 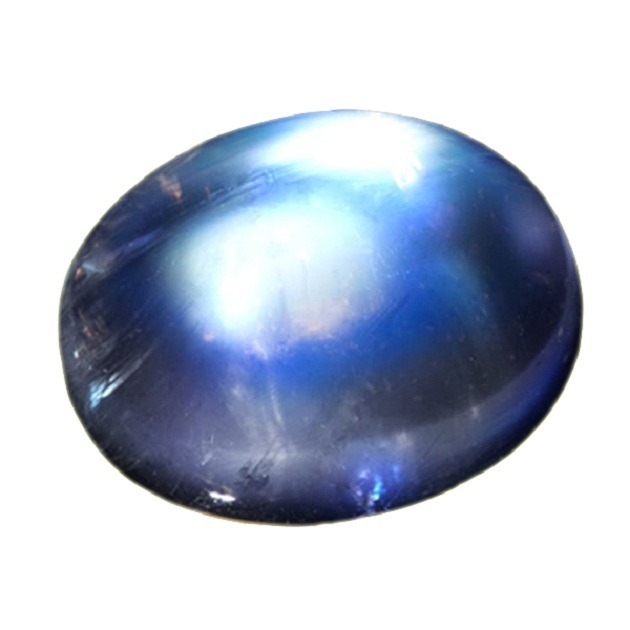 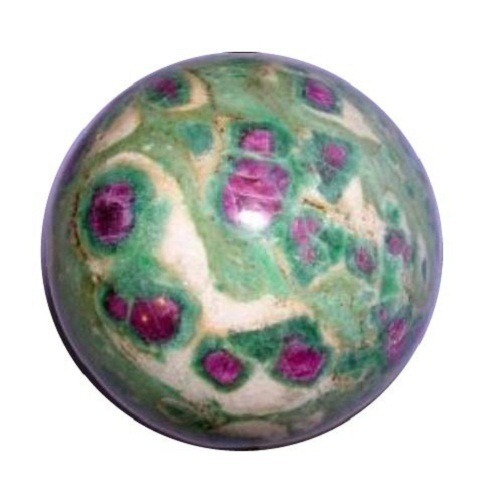 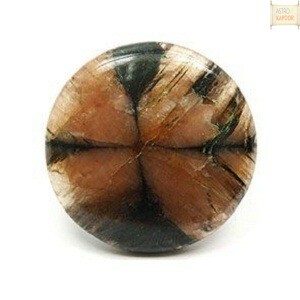 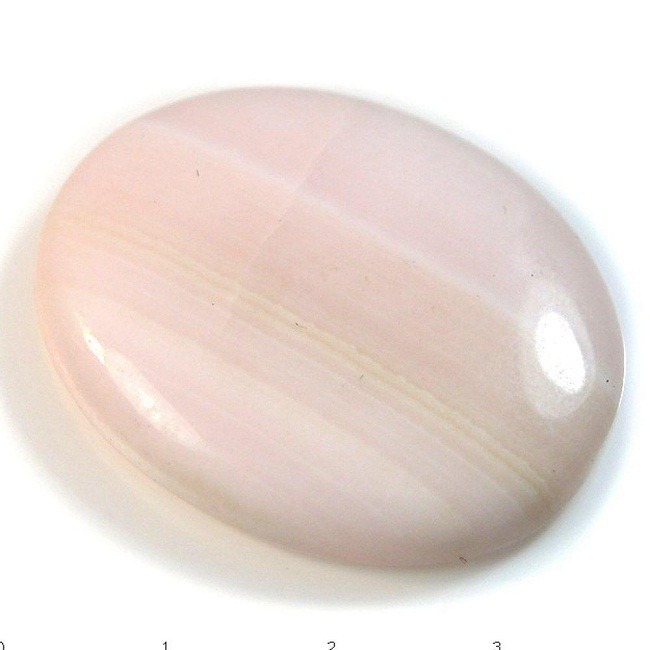 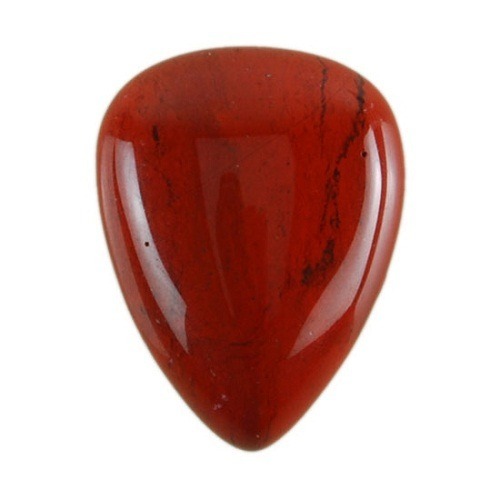 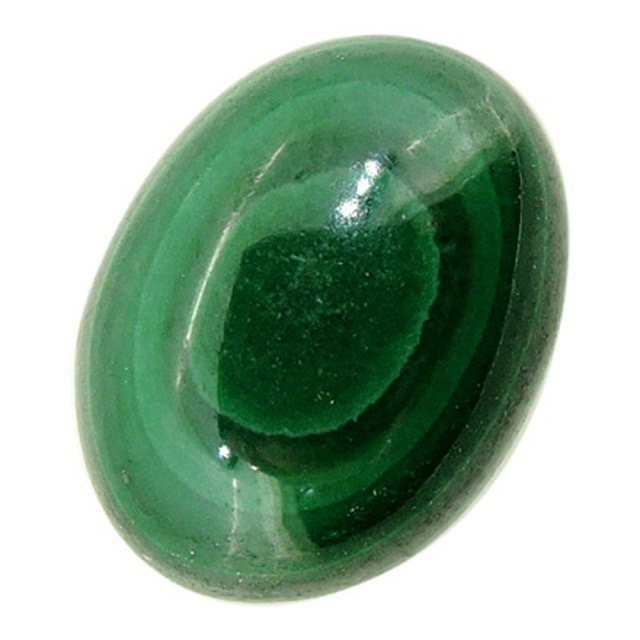 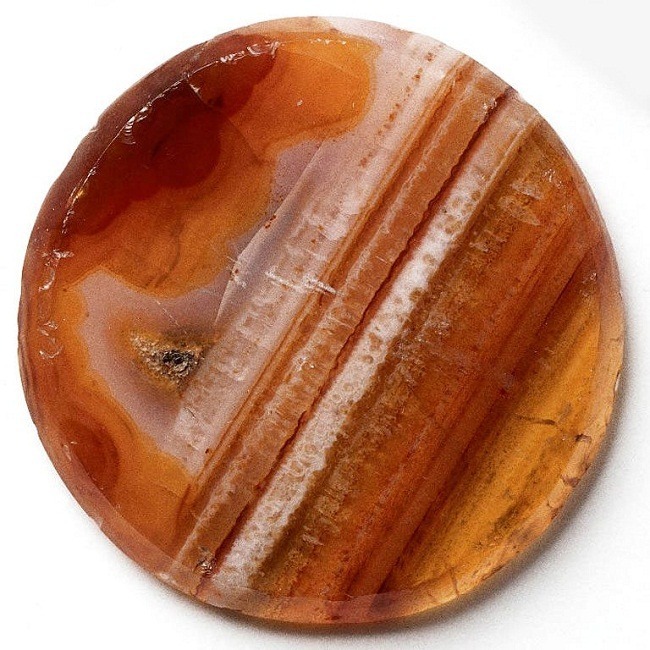 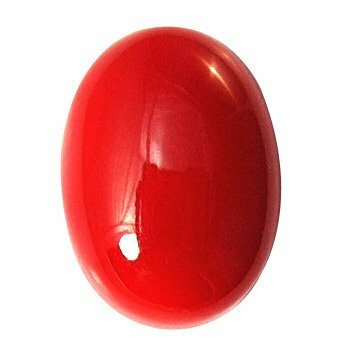 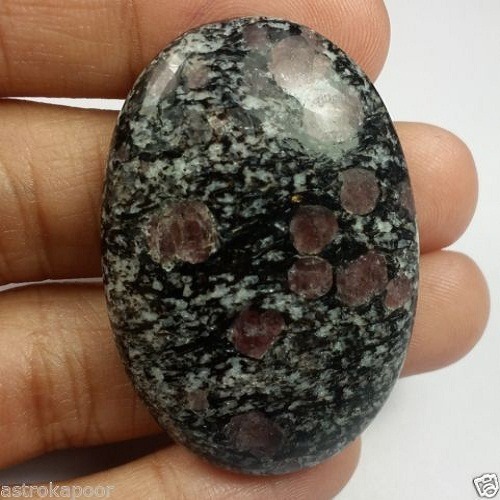 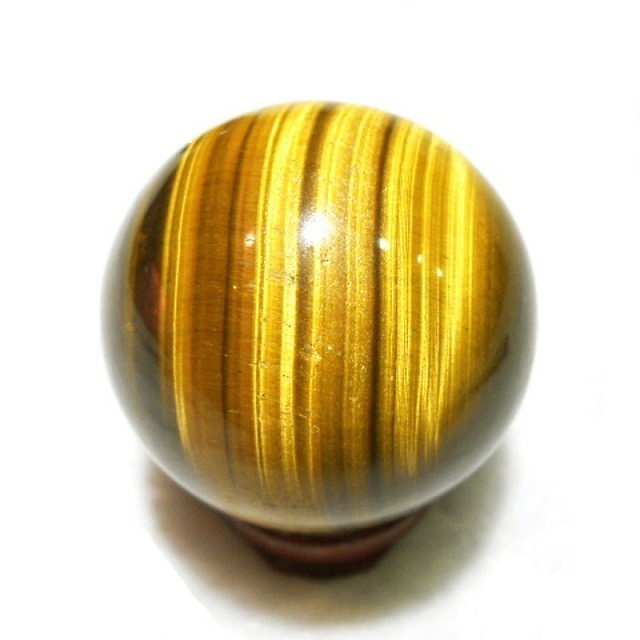 Star Sapphire is useful for the people who are in the profession of administration, teaching and in creative filed. 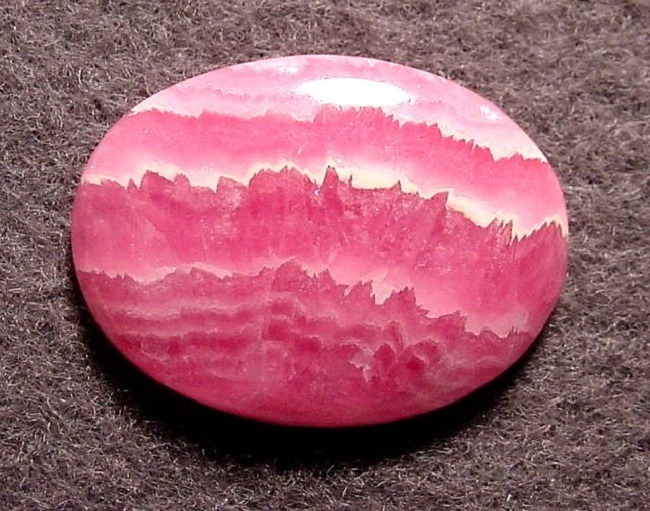 Star Sapphire makes a person shine like the illumination of the star. 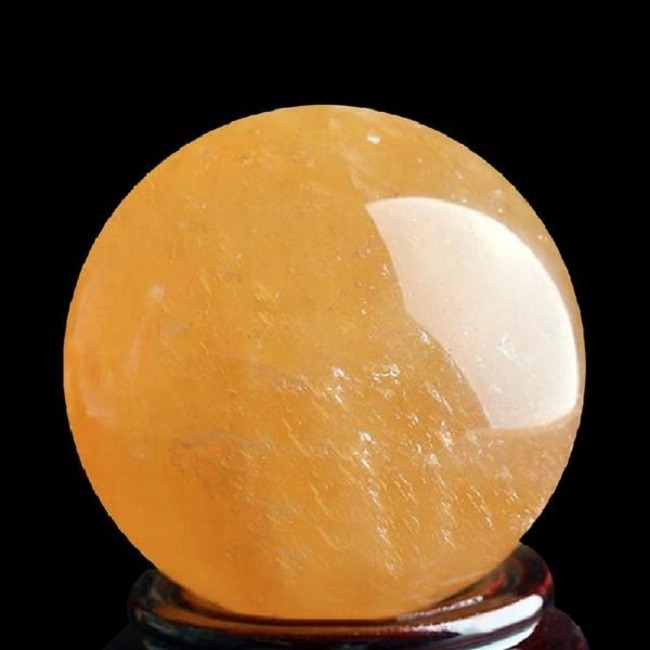 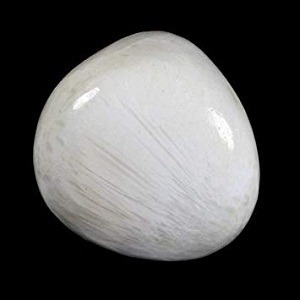 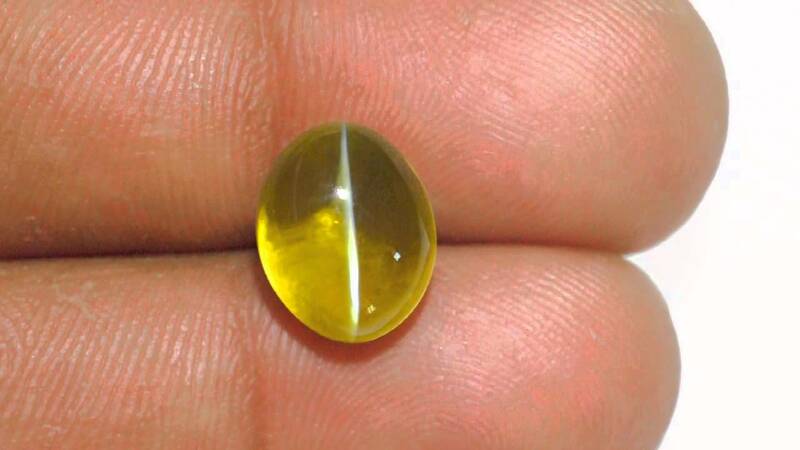 People who want to attain spiritual soul can also wear this star gemstone. 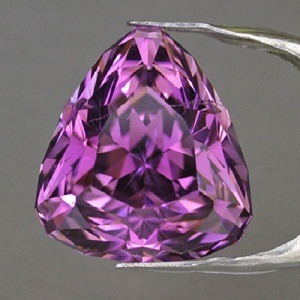 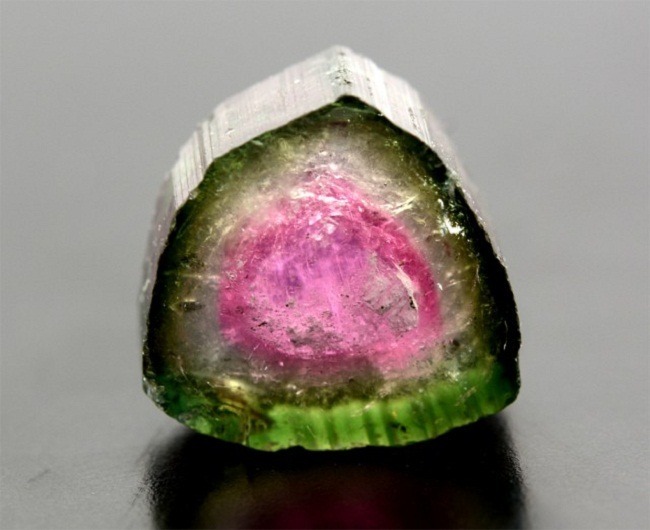 The Smithsonian Institution in Washington D.C has Star Sapphire of more than 50 carats and was found in Sri Lanka. 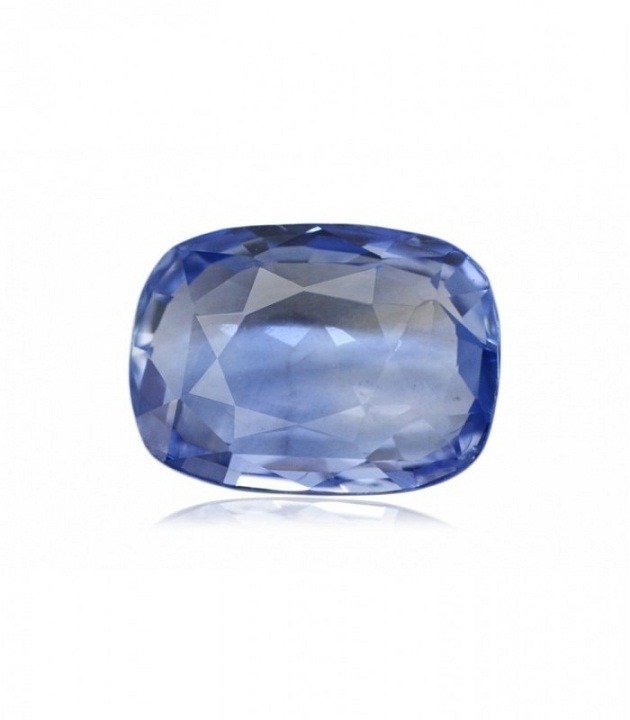 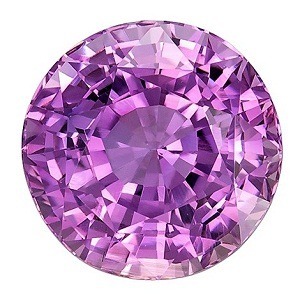 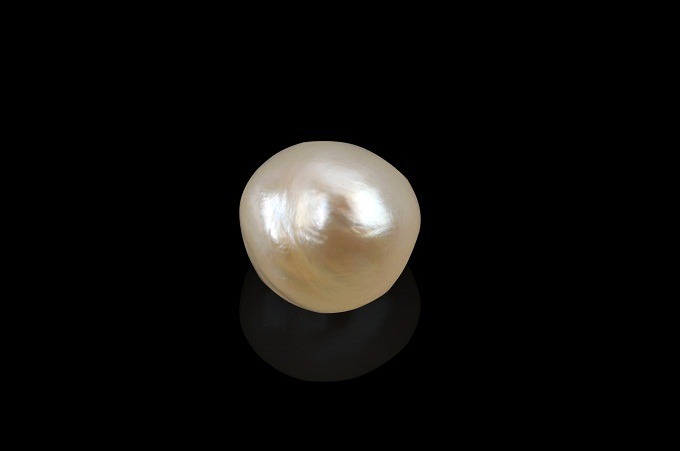 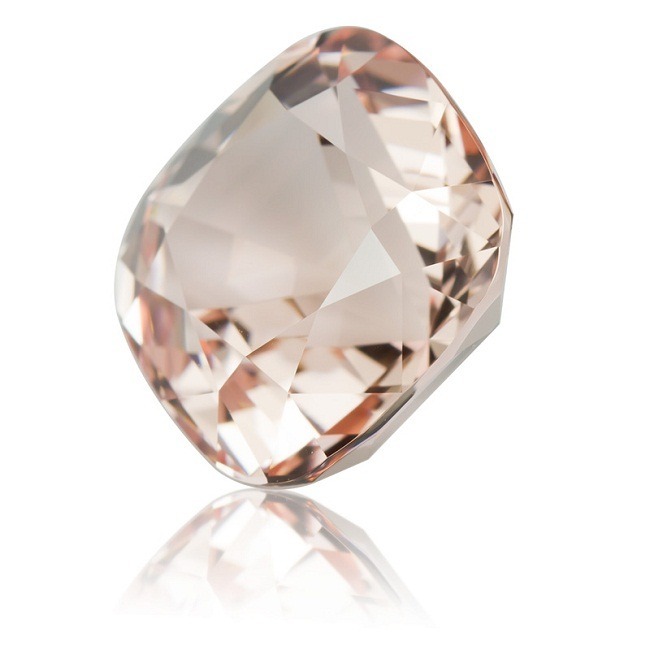 The mega star of impressive gem collection is the “Star Asia”, or star sapphire of 30 carats. 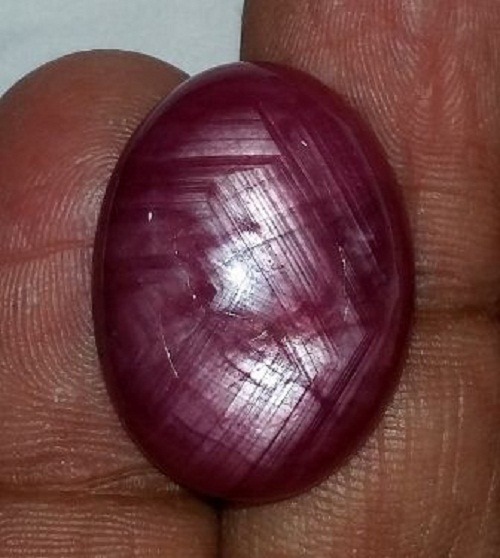 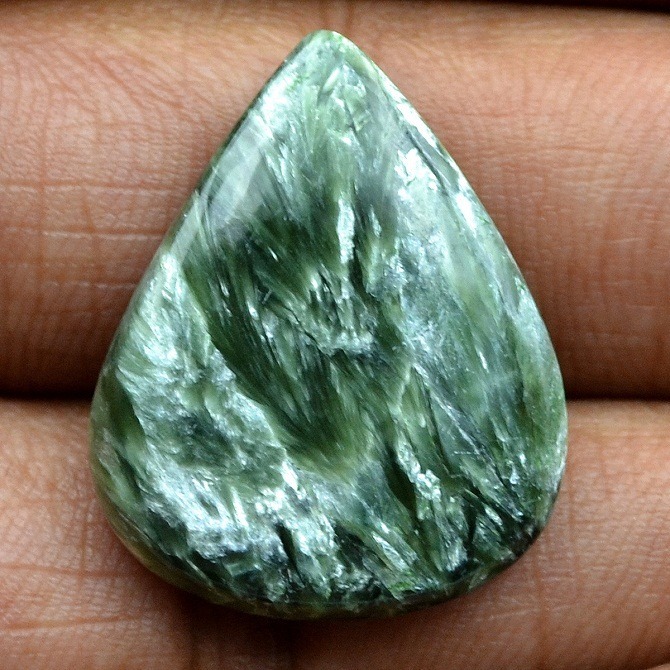 We provide authentic and certified Star Sapphire in a wholesale price to our clients. 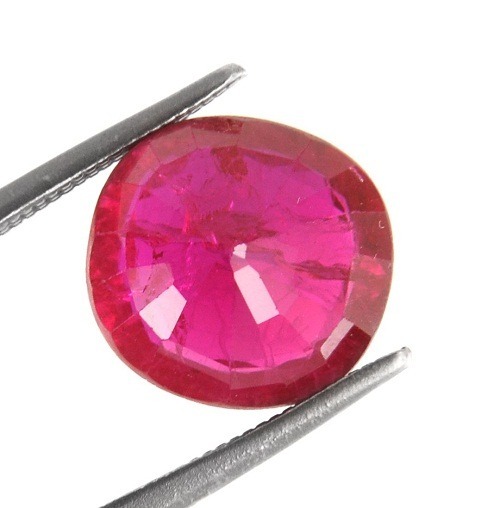 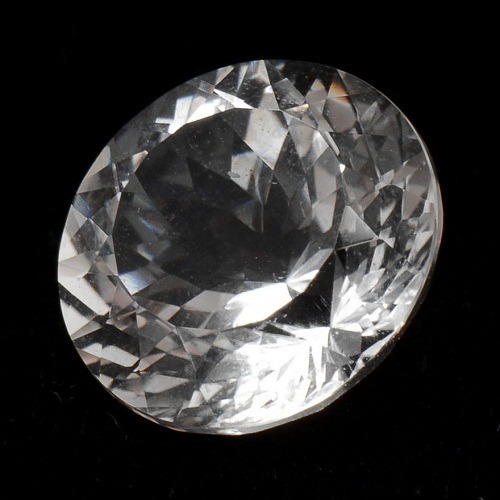 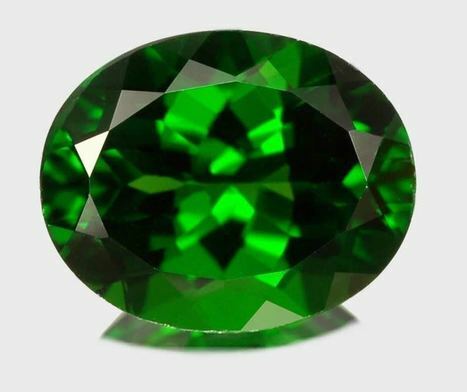 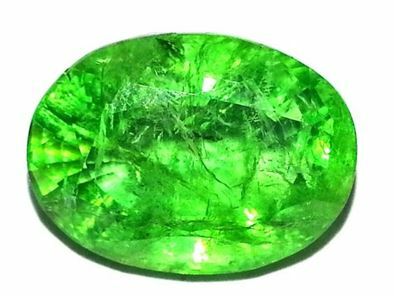 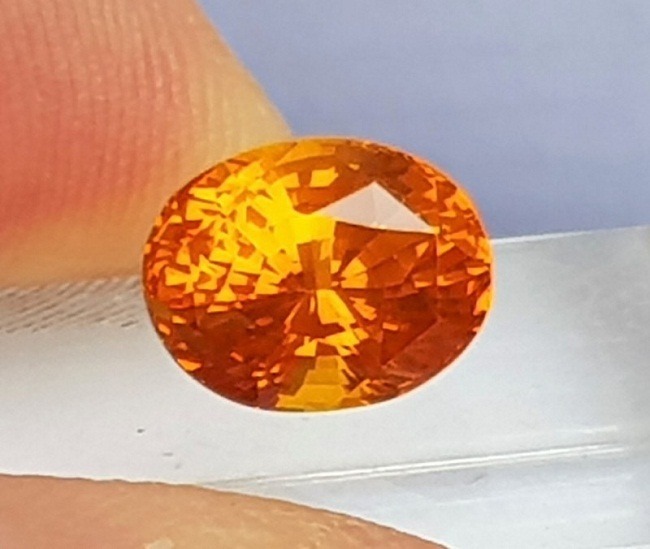 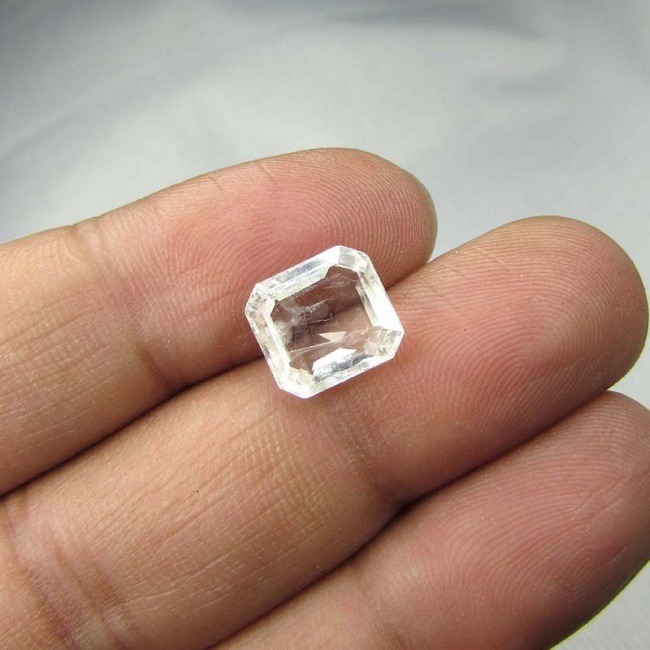 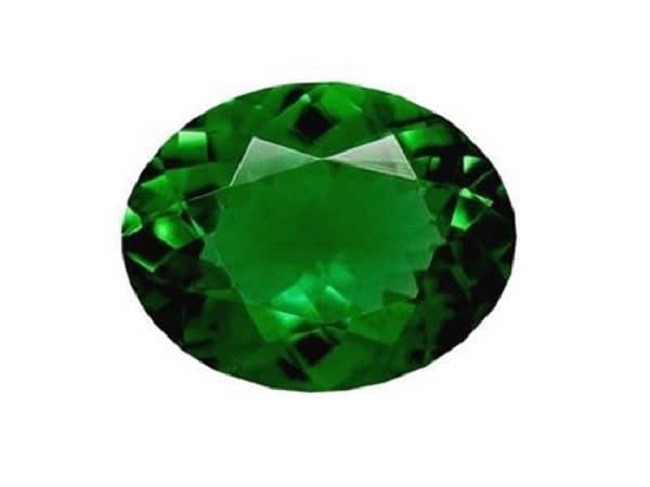 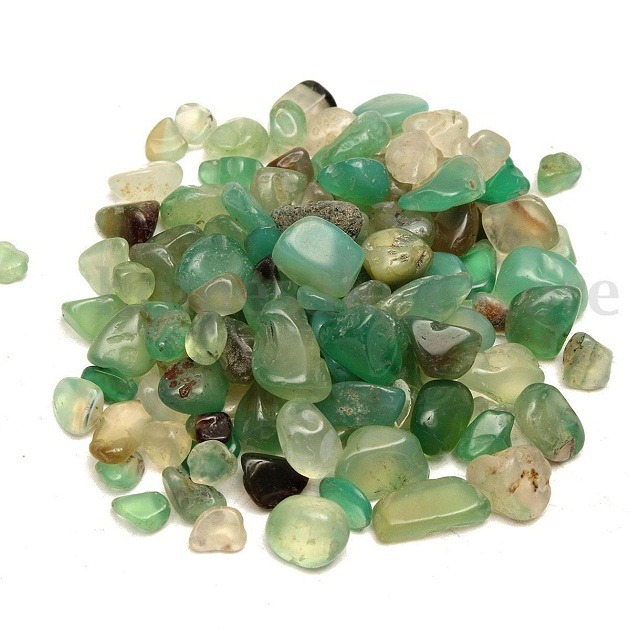 Our gems are passed through various tests so that we can collect original, natural and authentic gemstones for our clients.